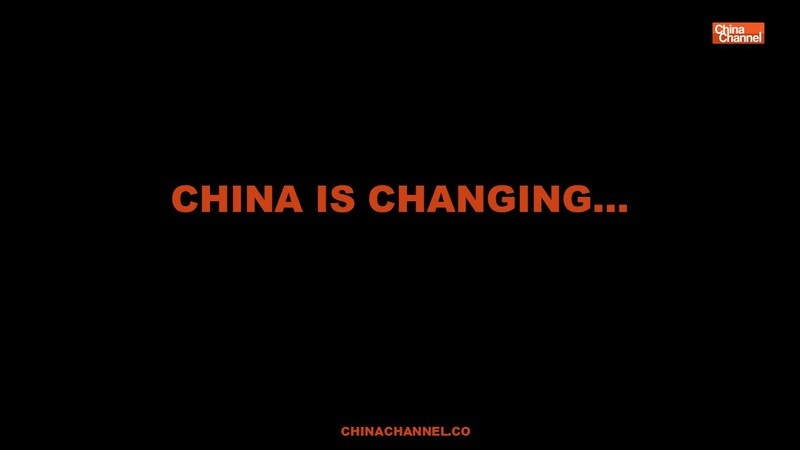 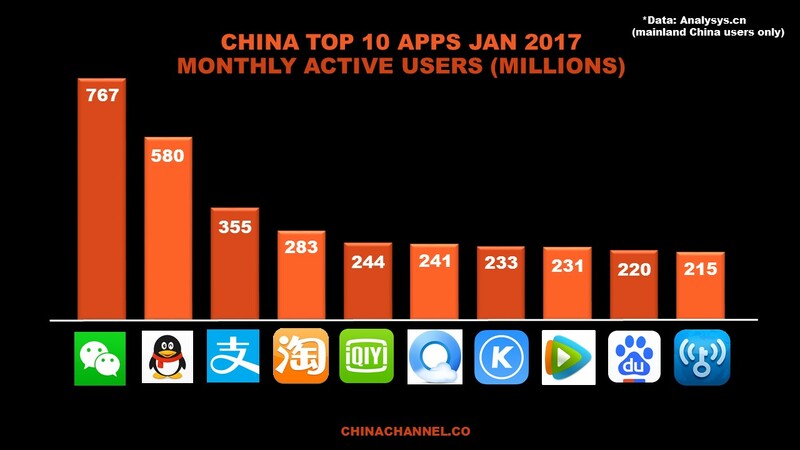 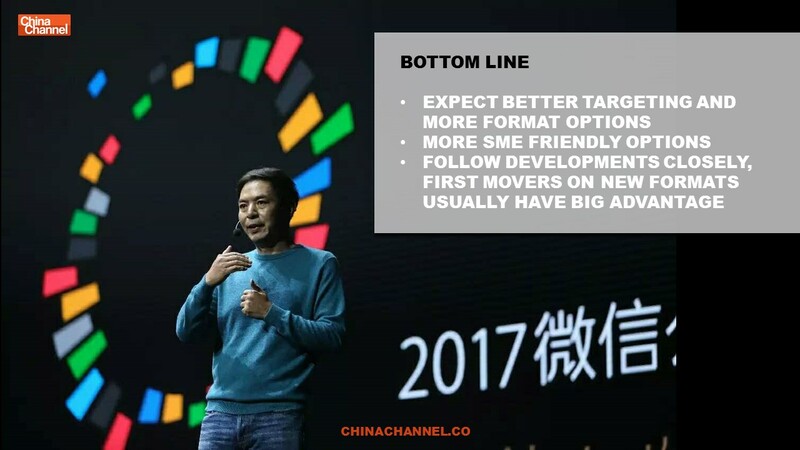 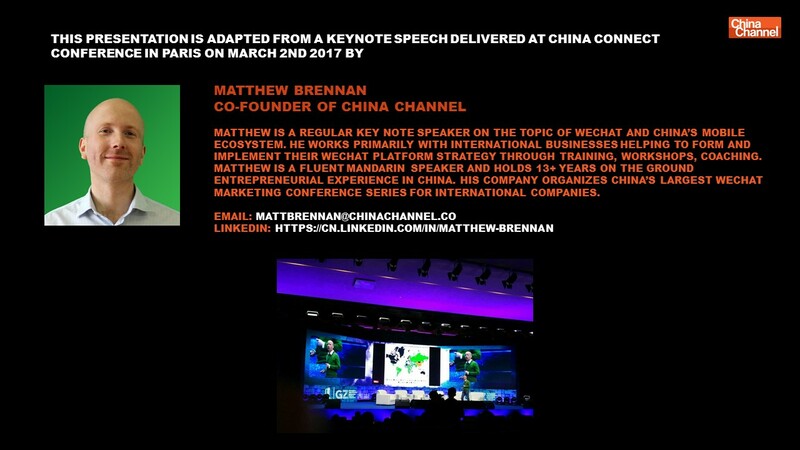 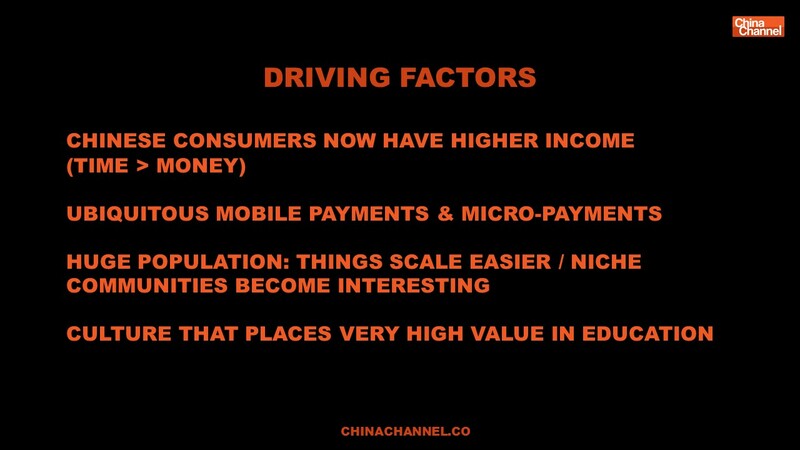 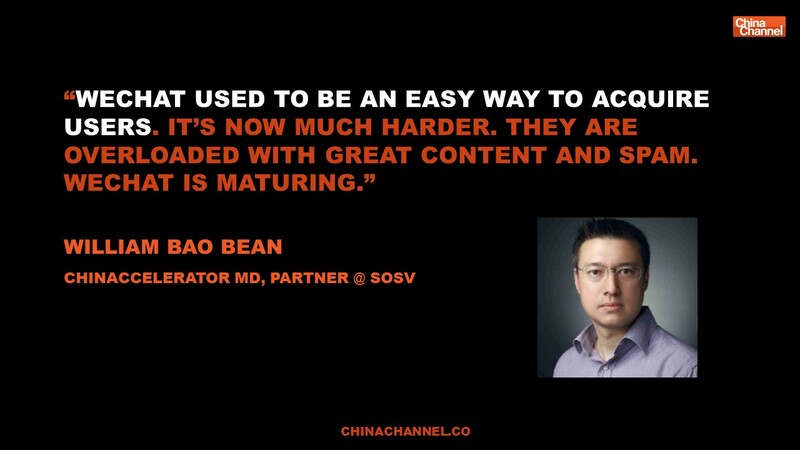 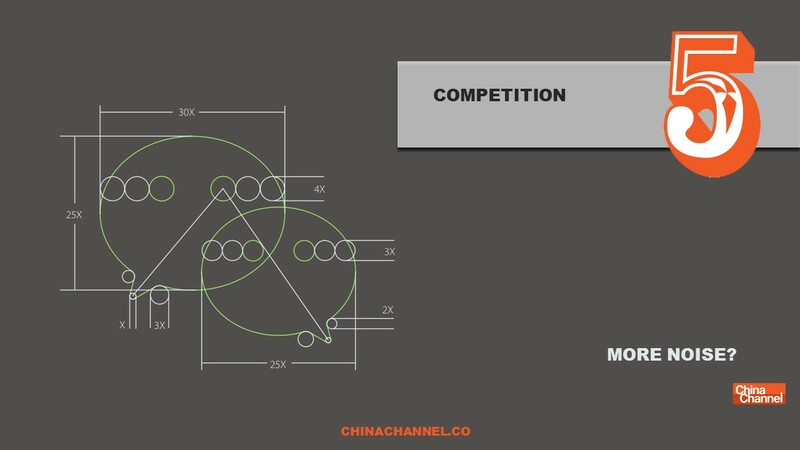 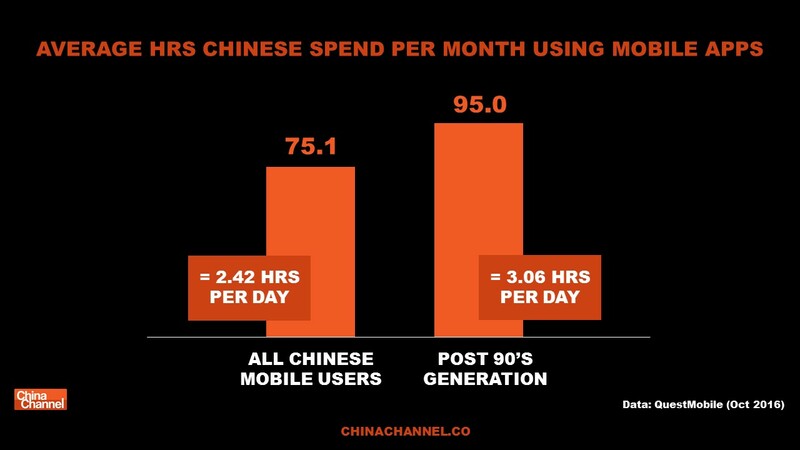 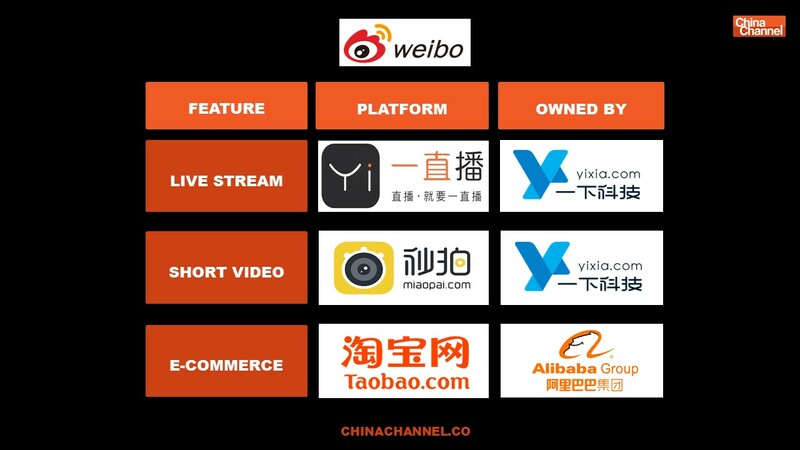 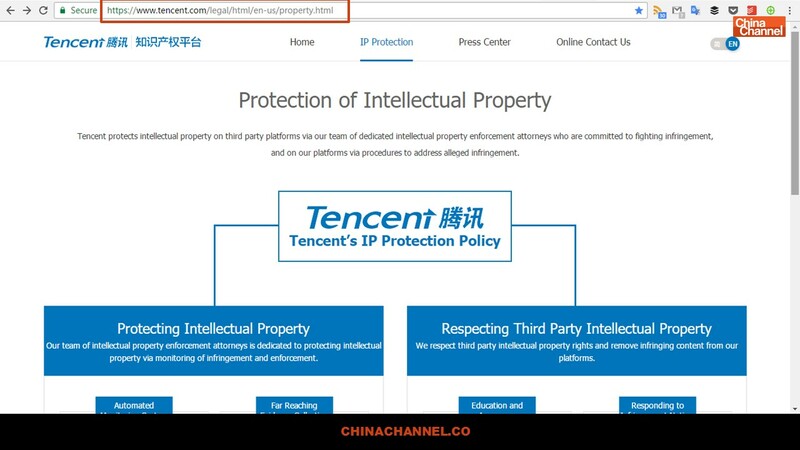 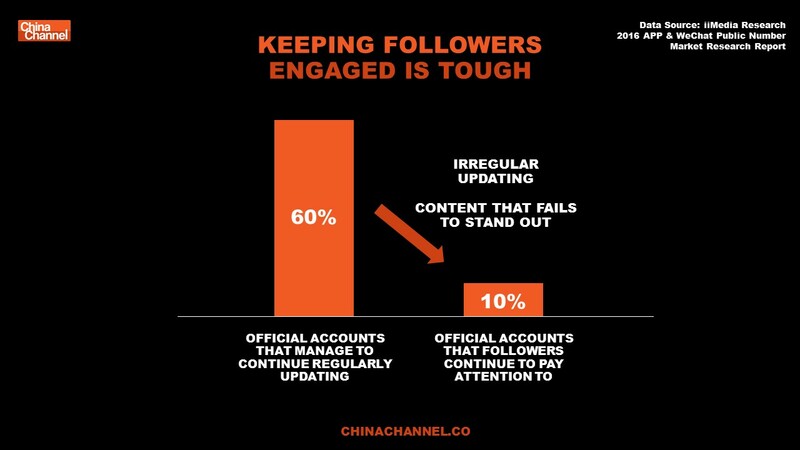 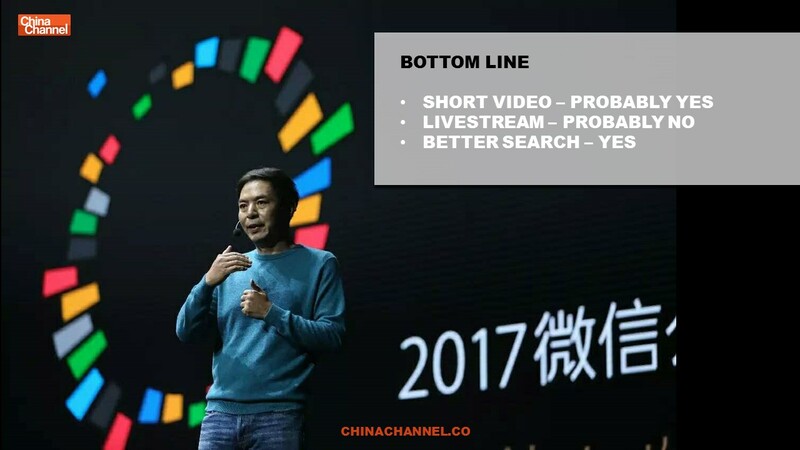 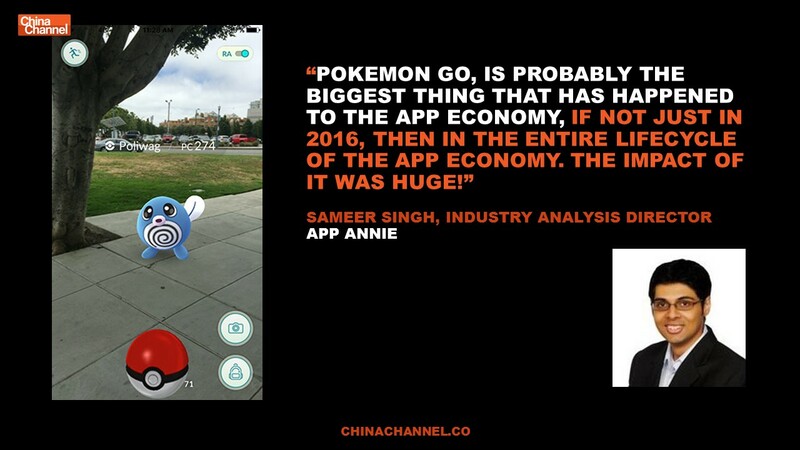 Below are the slides from a keynote presentation delivered by Matthew Brennan at the China Connect Paris Conference on the 2nd of March 2017. 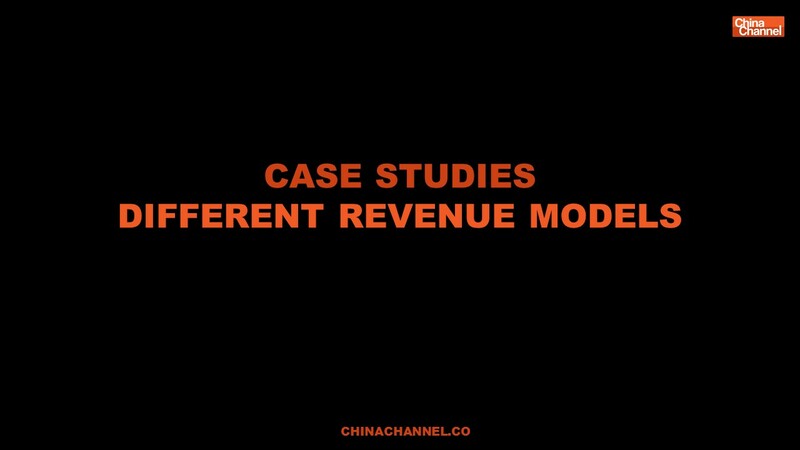 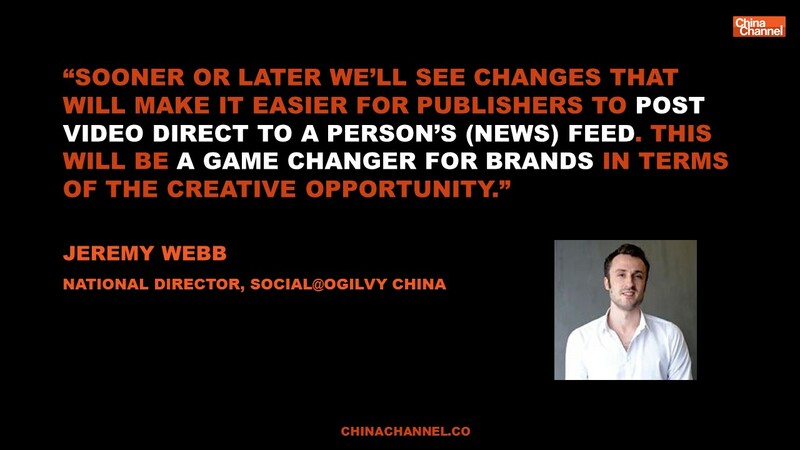 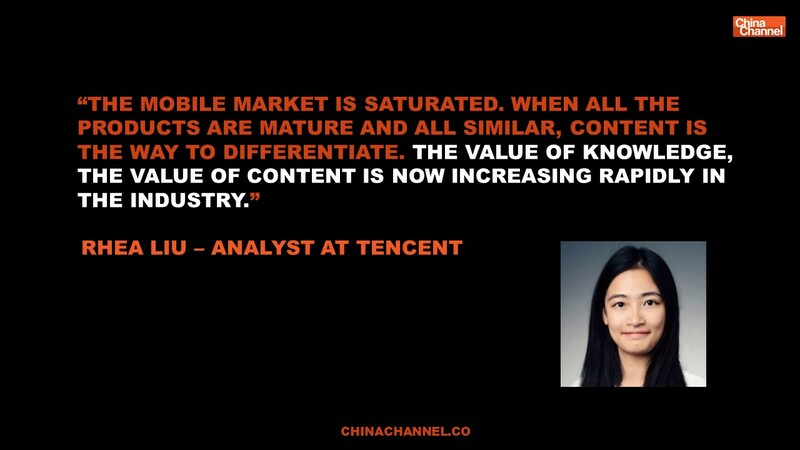 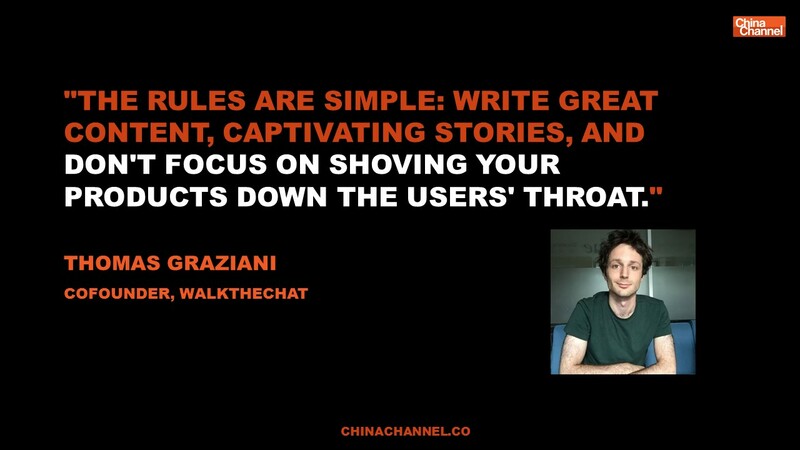 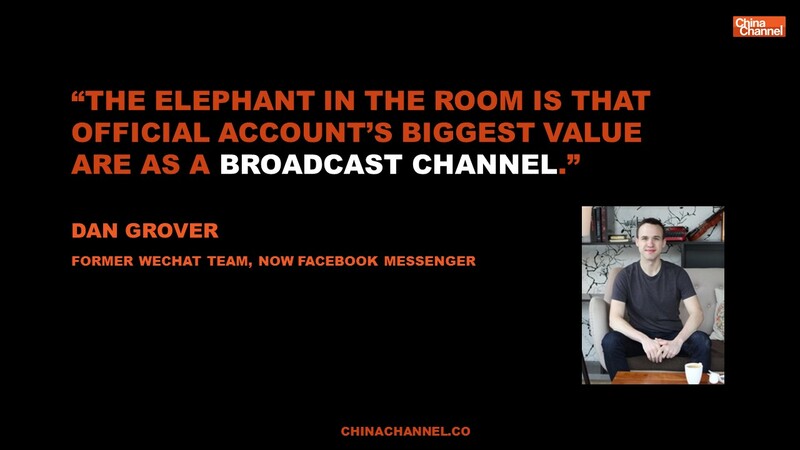 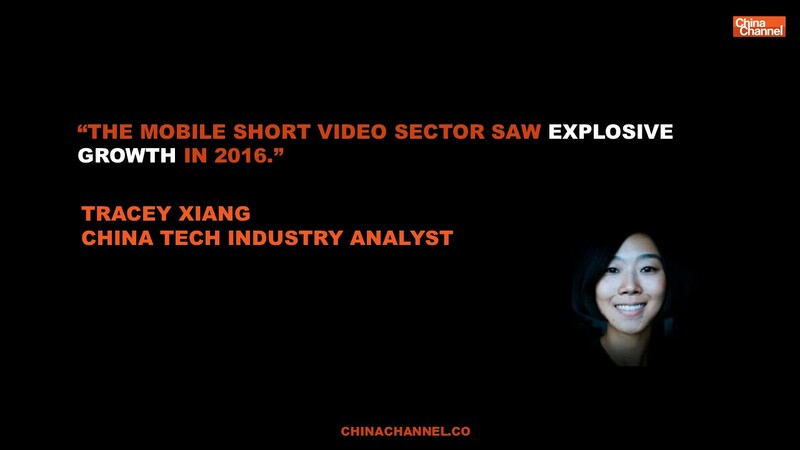 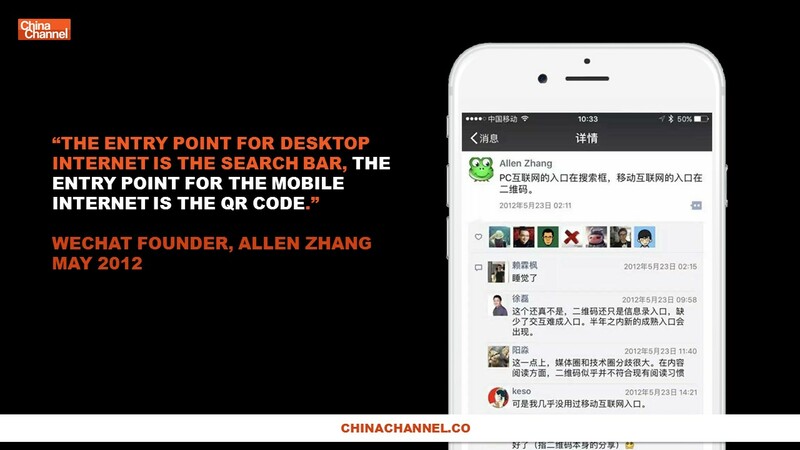 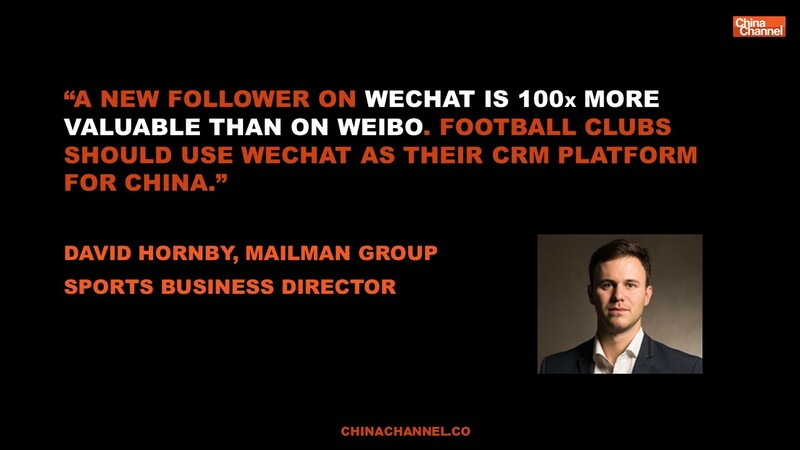 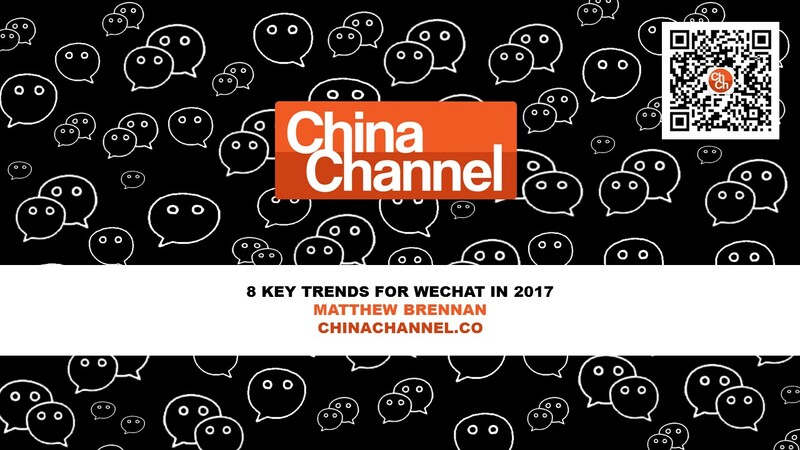 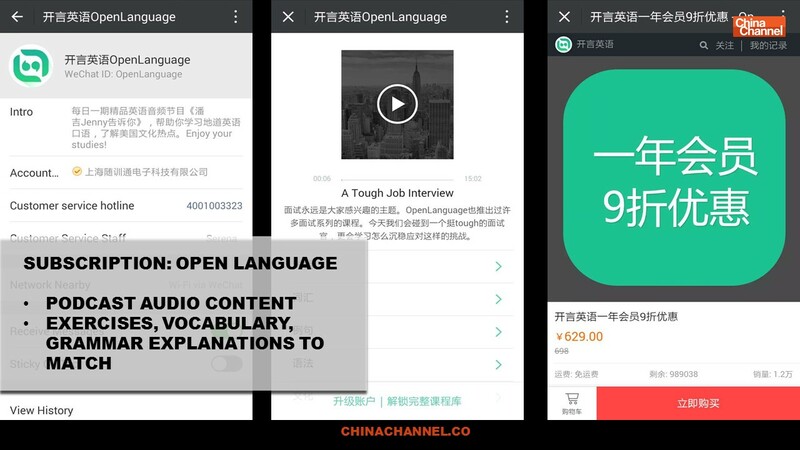 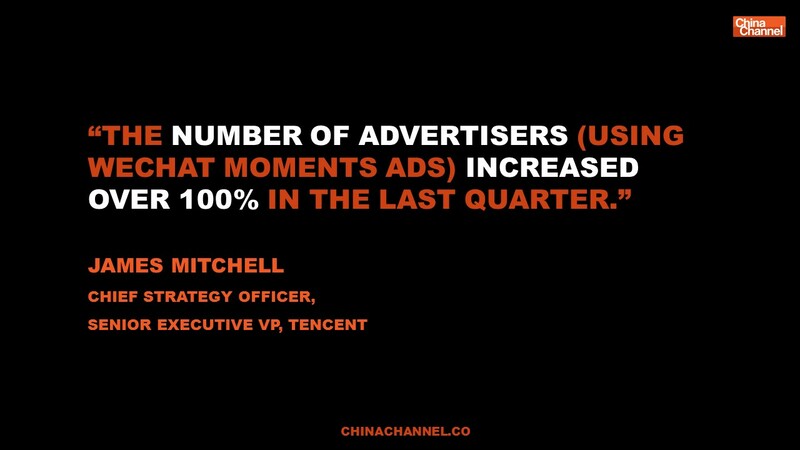 He covers the key trends for WeChat and WeChat marketing featuring the latest data, case studies and quotes from respected experts. 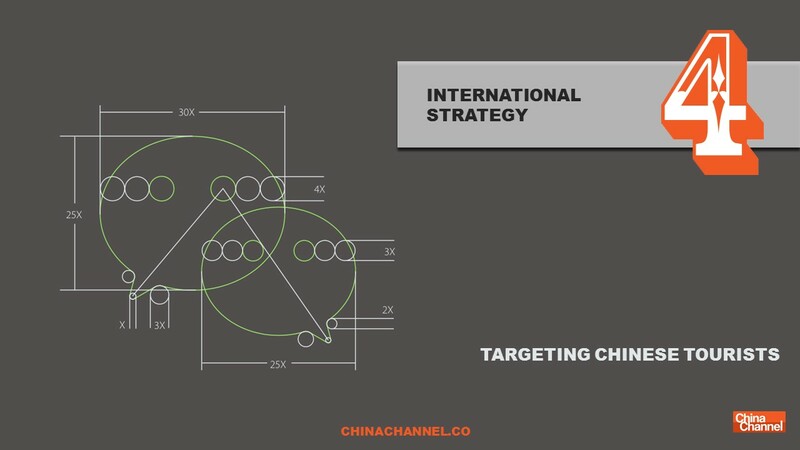 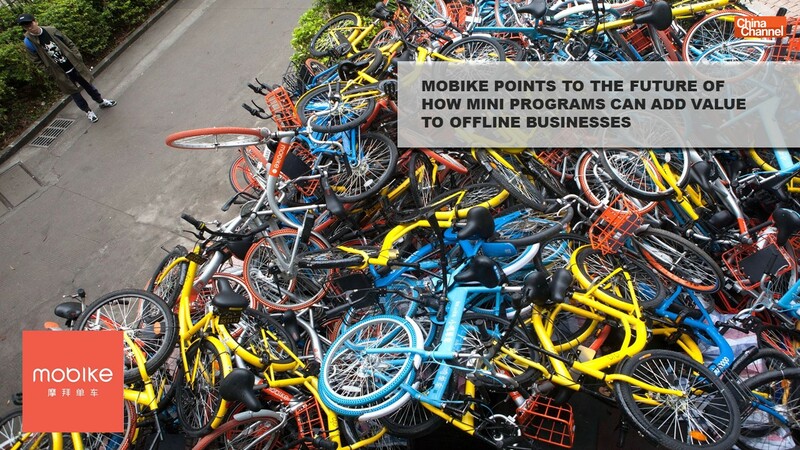 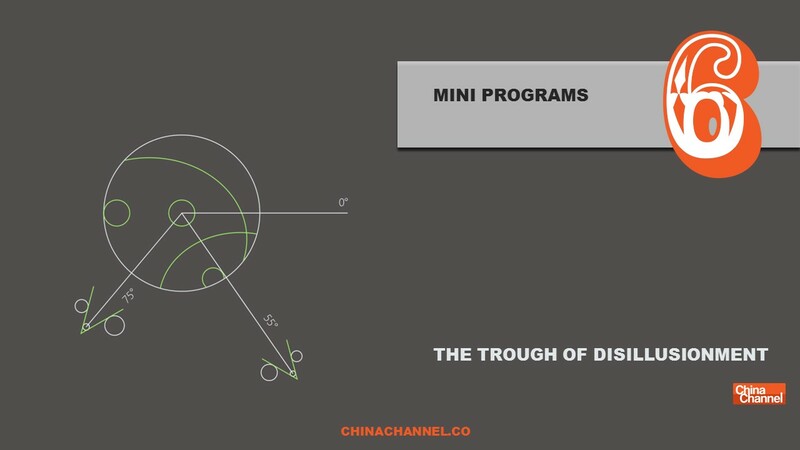 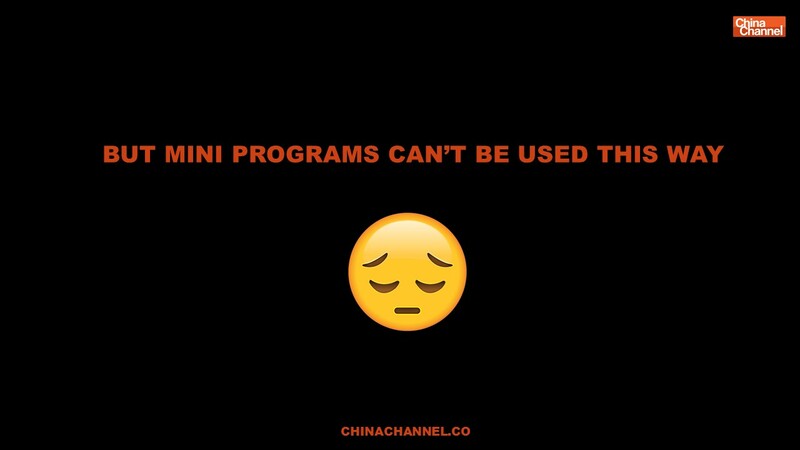 If you would like a PDF version of this report just drop us an email at info@chinachannel.co. 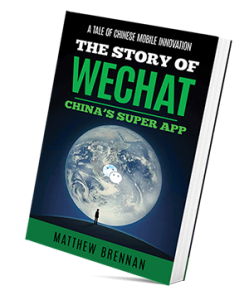 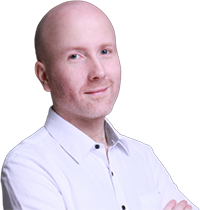 If you are interested in hiring Matthew as a speaker drop him a line at mattbrennan@chinachannel.co. 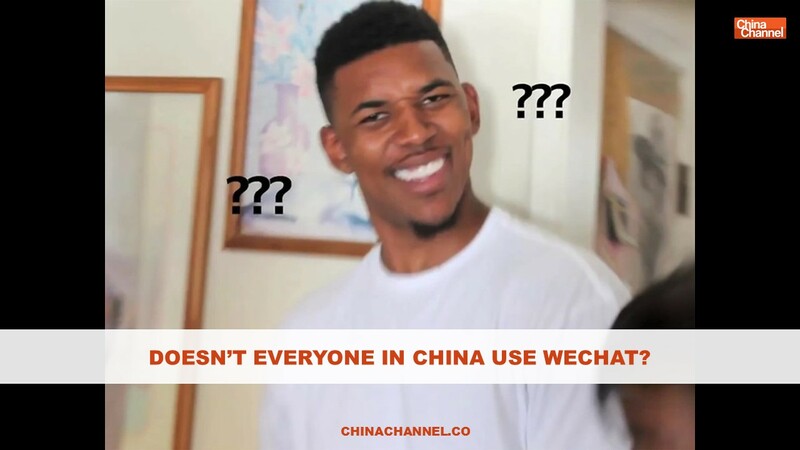 I HEARD EVERYONE IN CHINA IS USING WEIBO AGAIN. 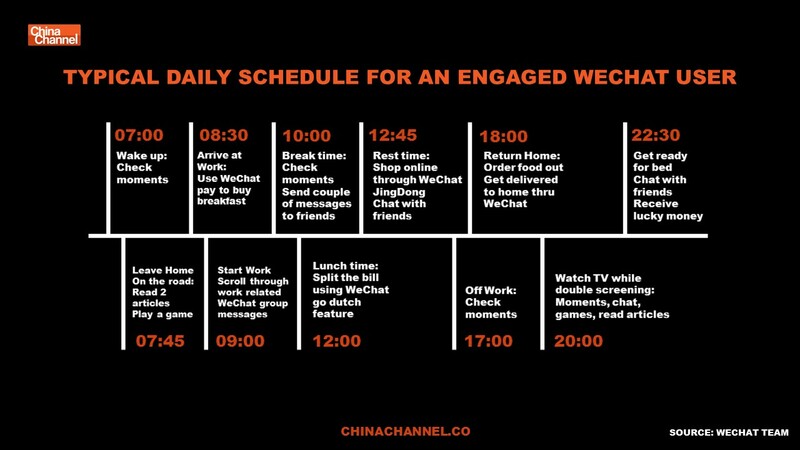 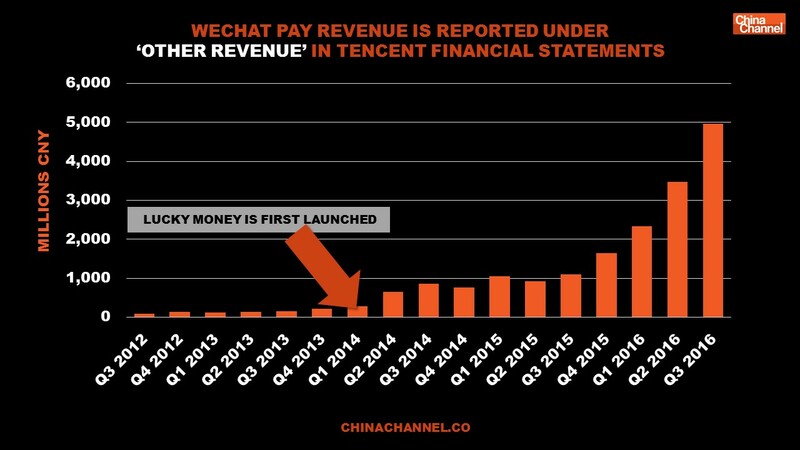 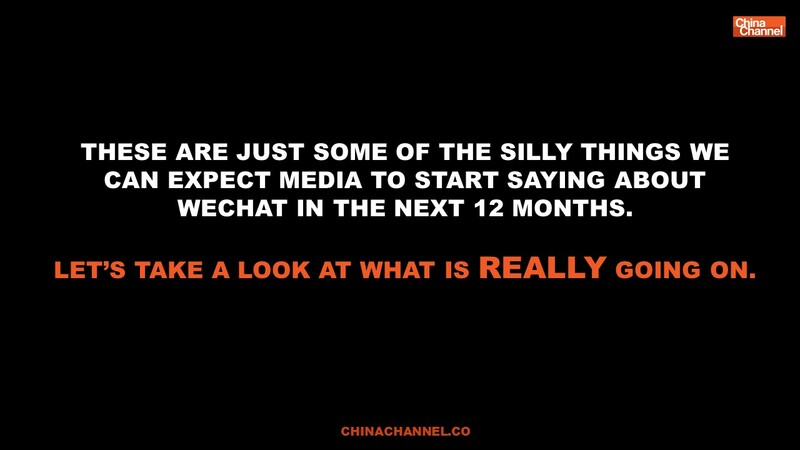 THESE ARE JUST SOME OF THE SILLY THINGS WE CAN EXPECT MEDIA TO START SAYING ABOUT WECHAT IN THE NEXT 12 MONTHS. 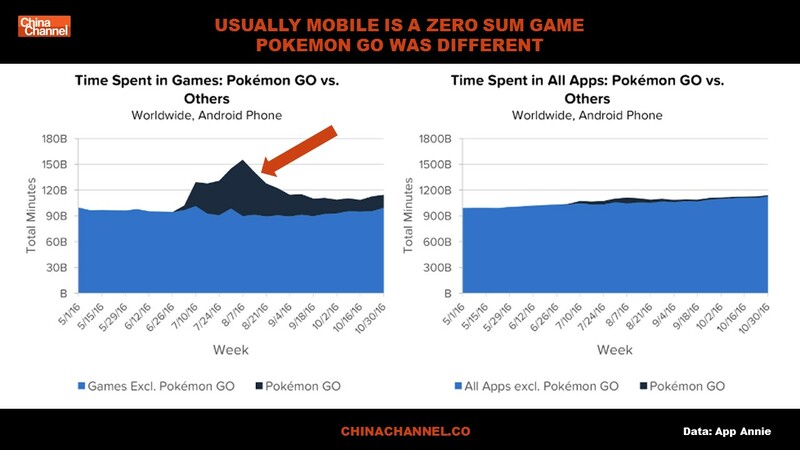 LET’S TAKE A LOOK AT WHAT IS REALLY GOING ON. 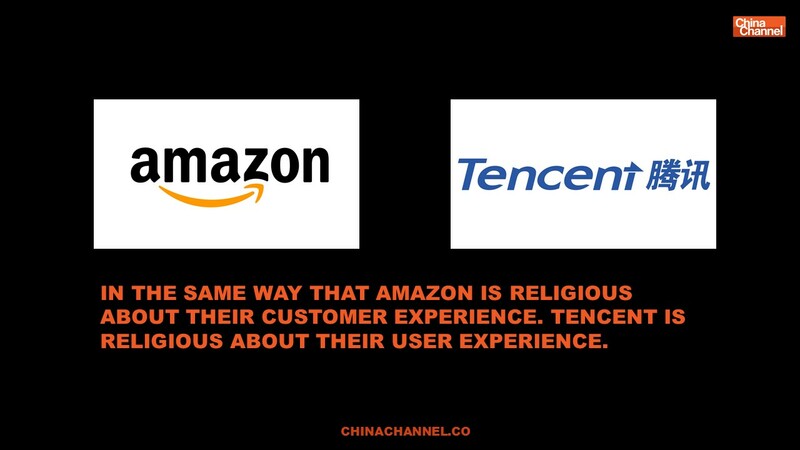 In the same way that Amazon is religious about their customer experience. 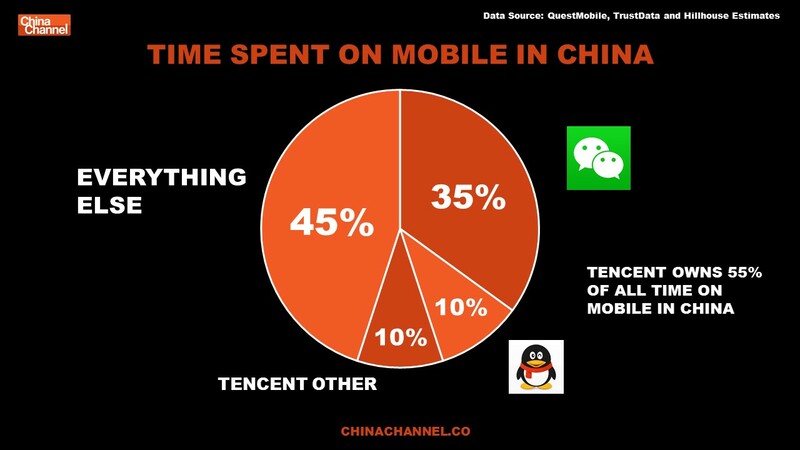 Tencent is religious about their user experience. 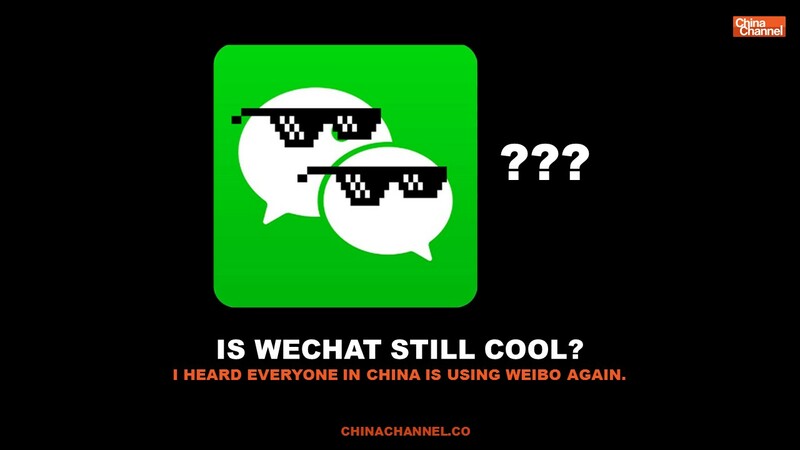 DOESN’T EVERYONE IN CHINA USE WECHAT? 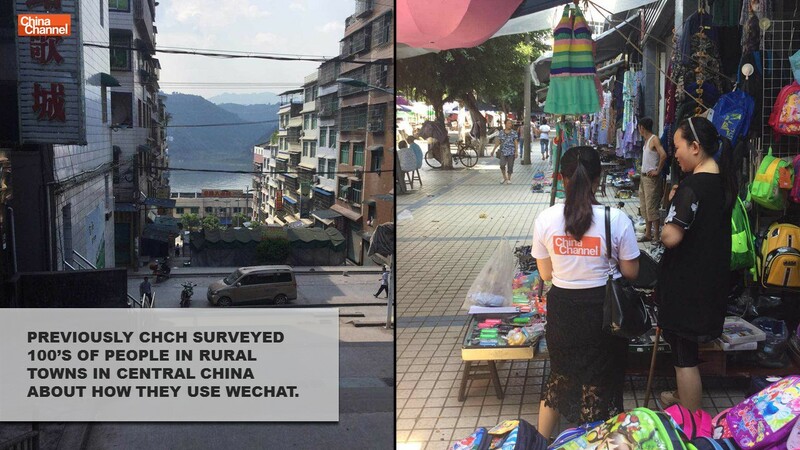 Previously ChCh surveyed 100’s of people in rural towns in central China about how they use WeChat. 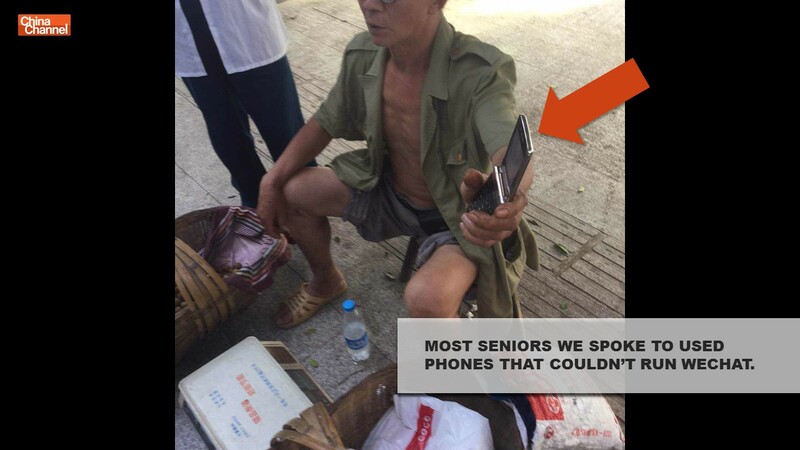 MOST SENIORS WE SPOKE TO USED PHONES THAT COULDN’T RUN WECHAT. 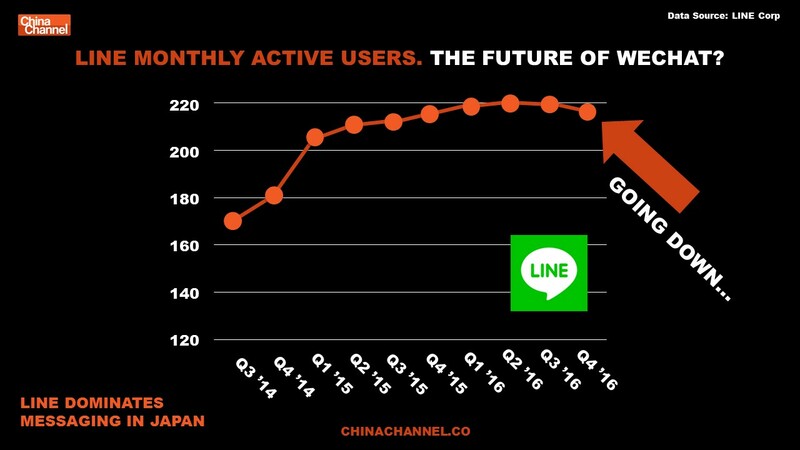 LINE MONTHLY ACTIVE USERS. 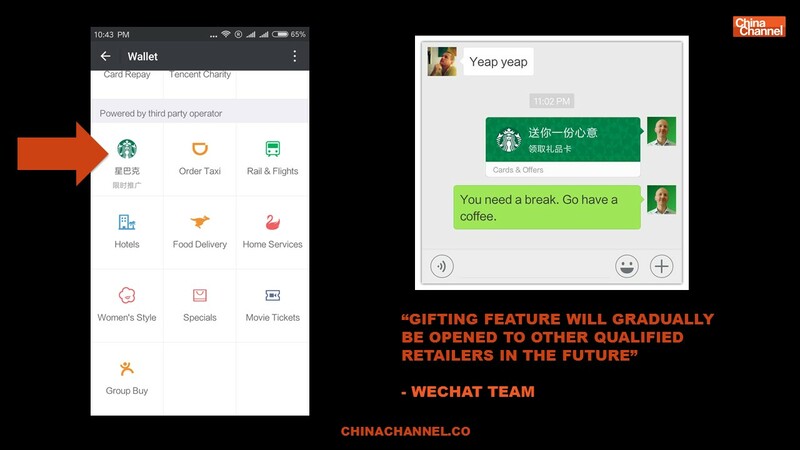 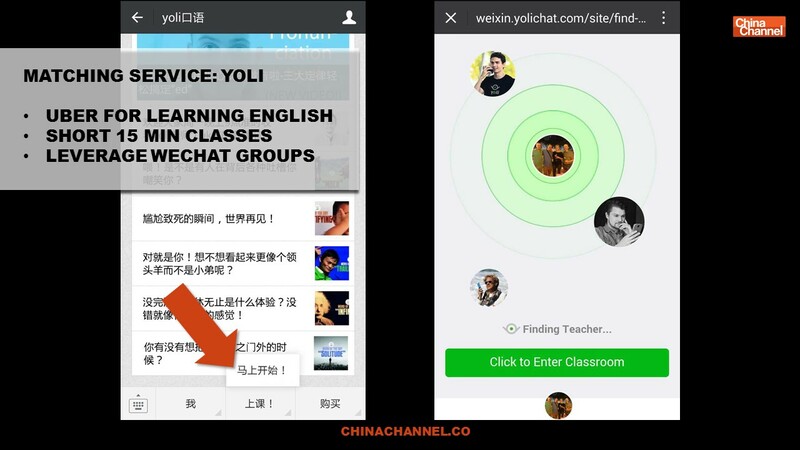 THE FUTURE OF WECHAT? 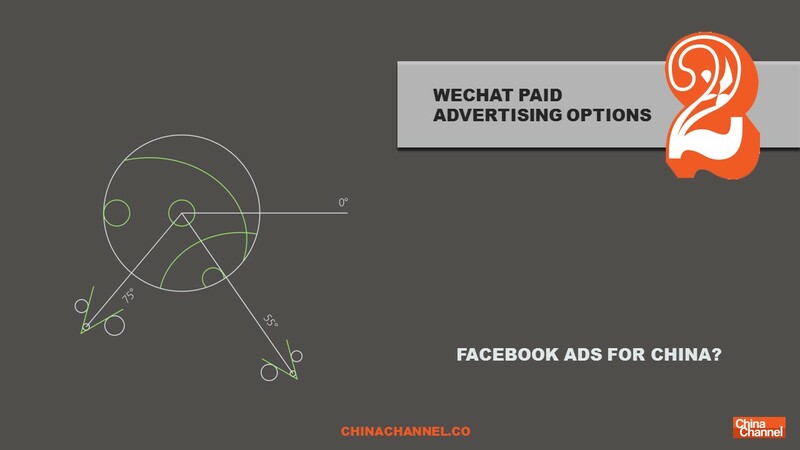 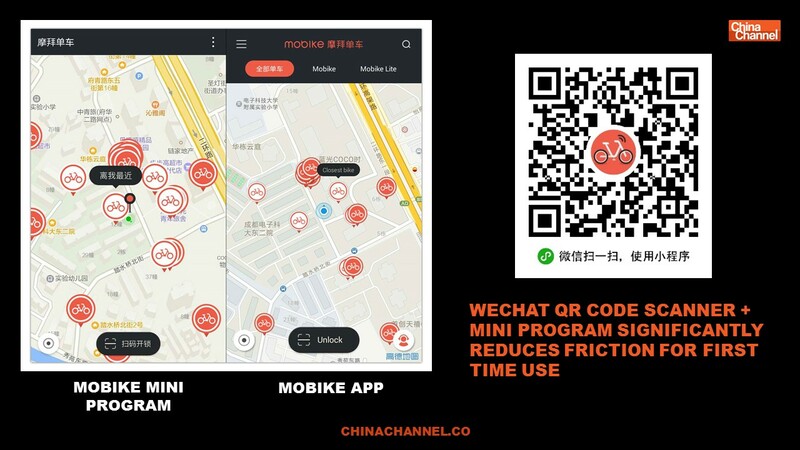 WECHAT PAID ADVERTISING OPTIONS. 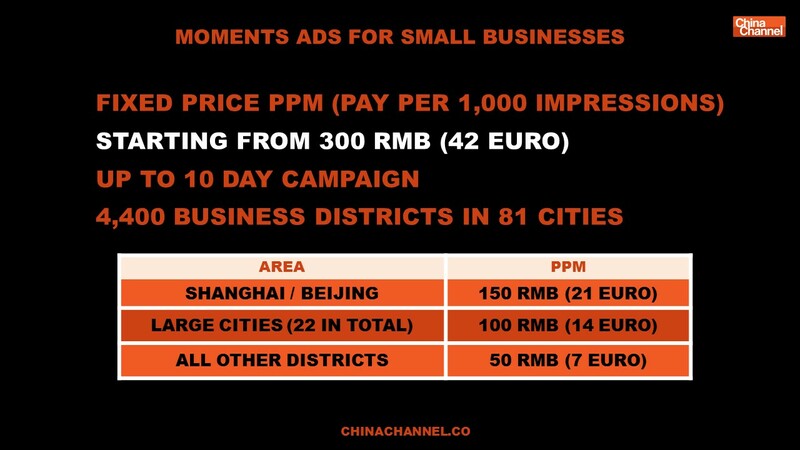 FACEBOOK ADS FOR CHINA? 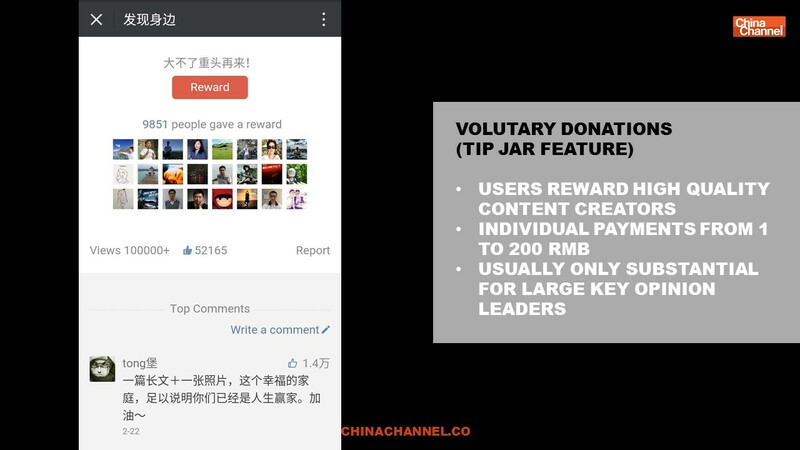 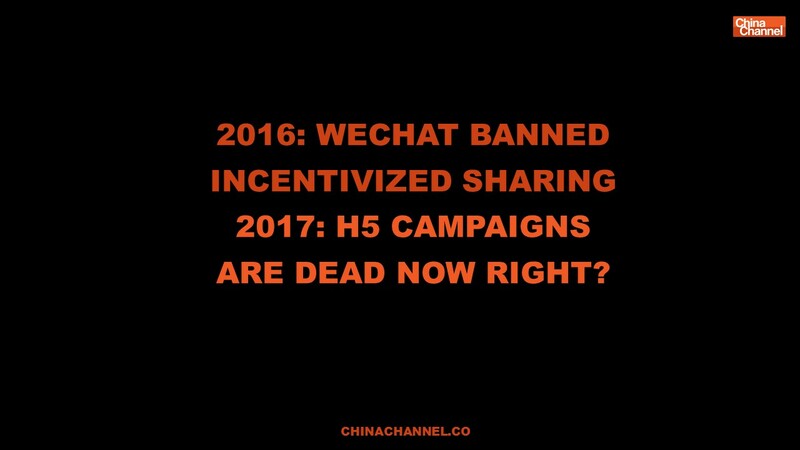 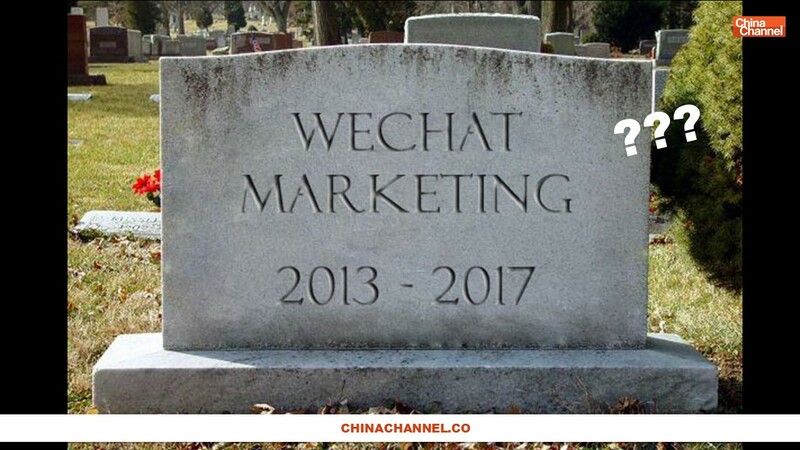 2016: wechat banned Incentivized sharing 2017: h5 campaigns are dead now right? 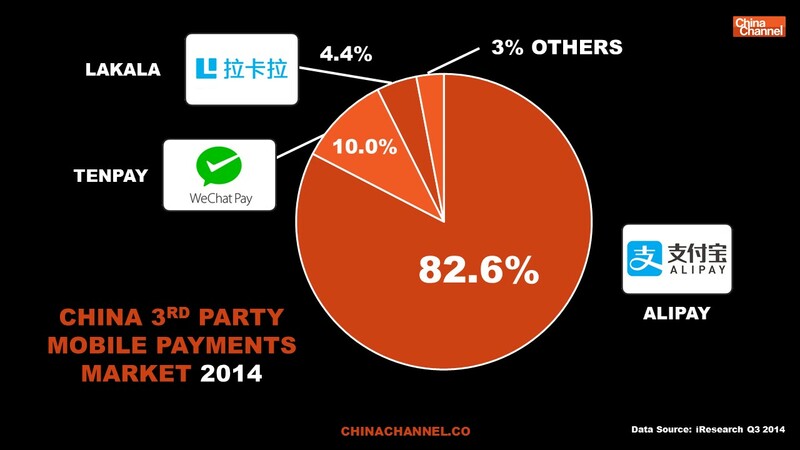 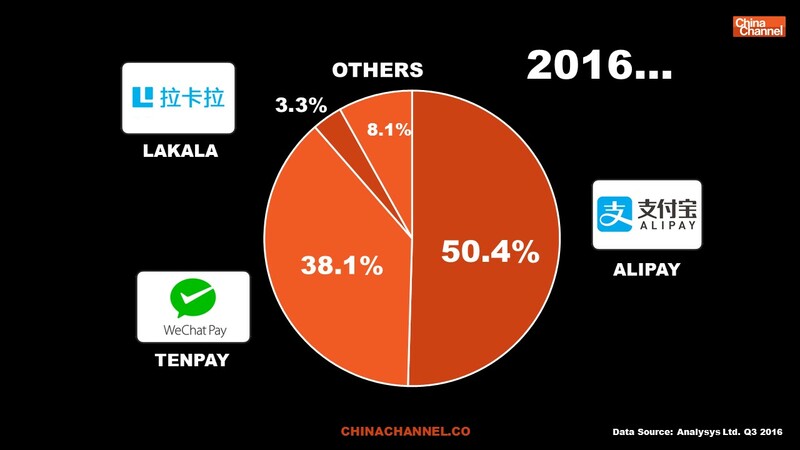 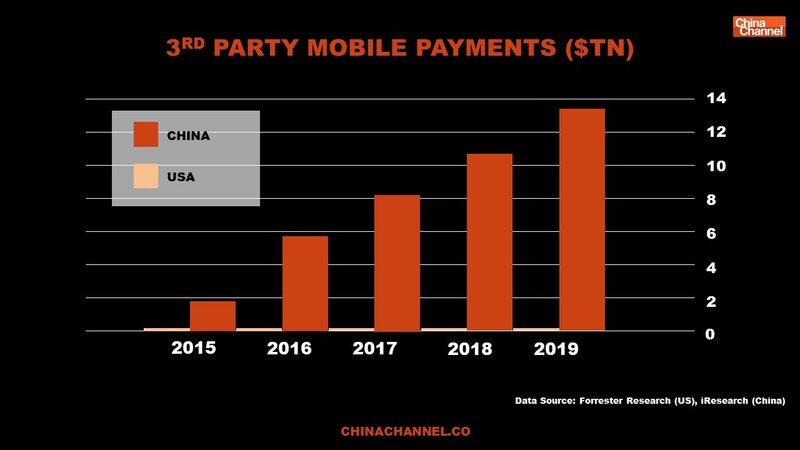 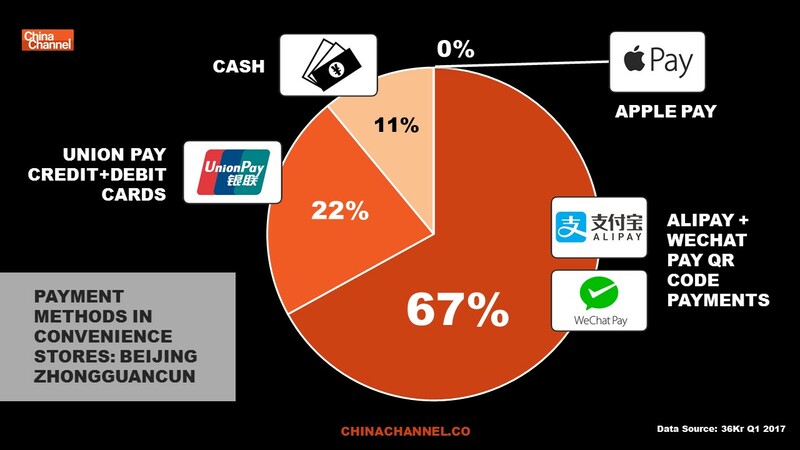 COULD THIS BE THE YEAR WECHAT PAY DRAWS EVEN IN MARKET SHARE WITH ALIPAY? 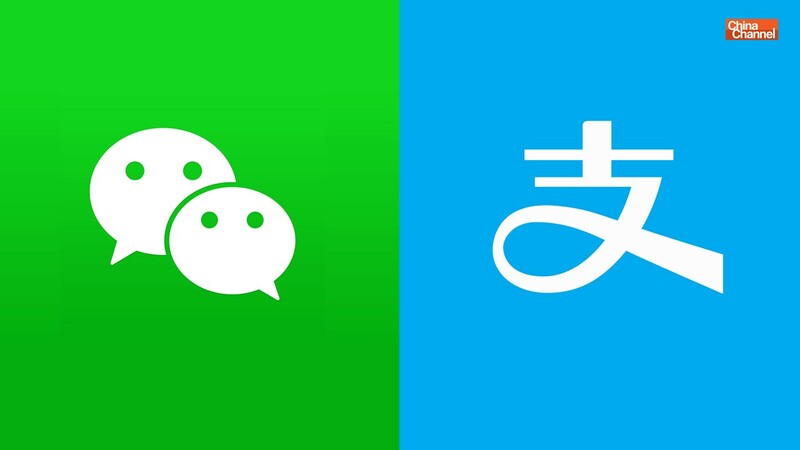 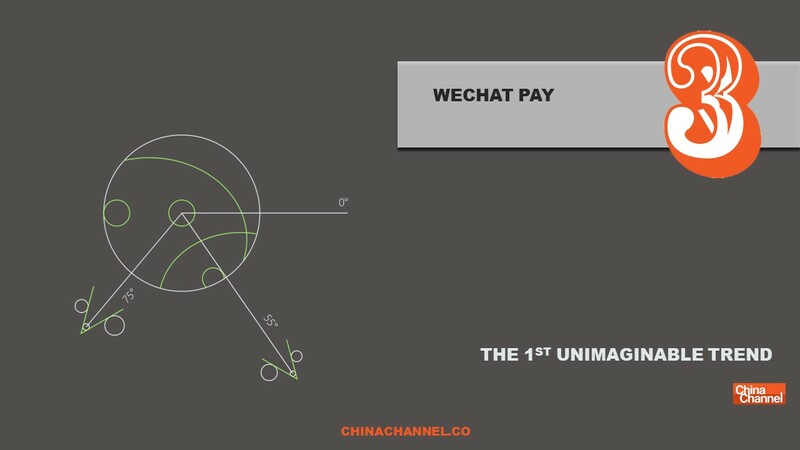 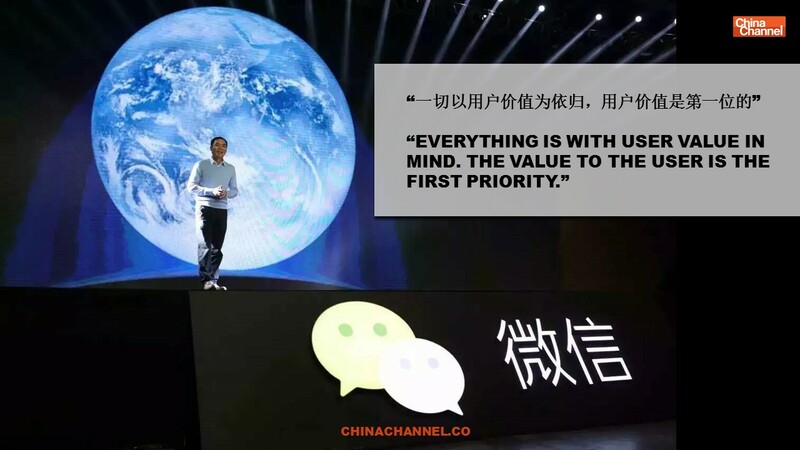 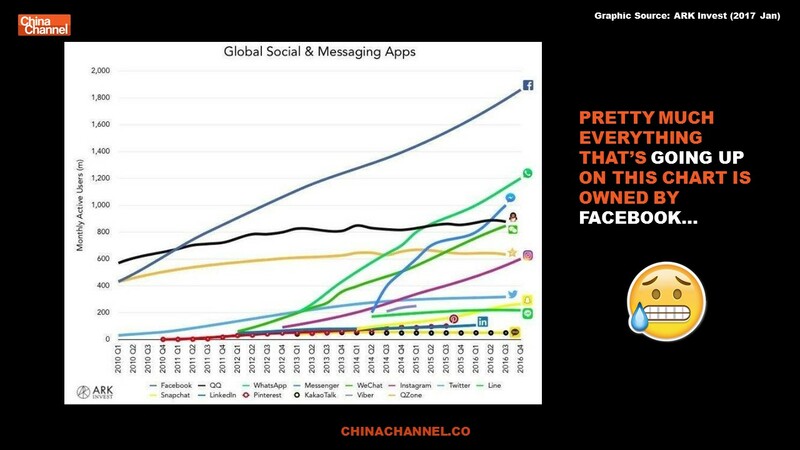 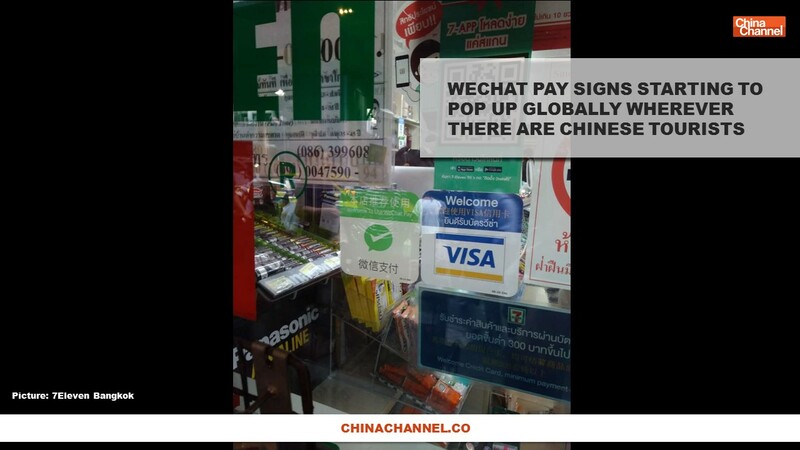 WECHAT: A social app that has successfully transitioned into a payments platform. 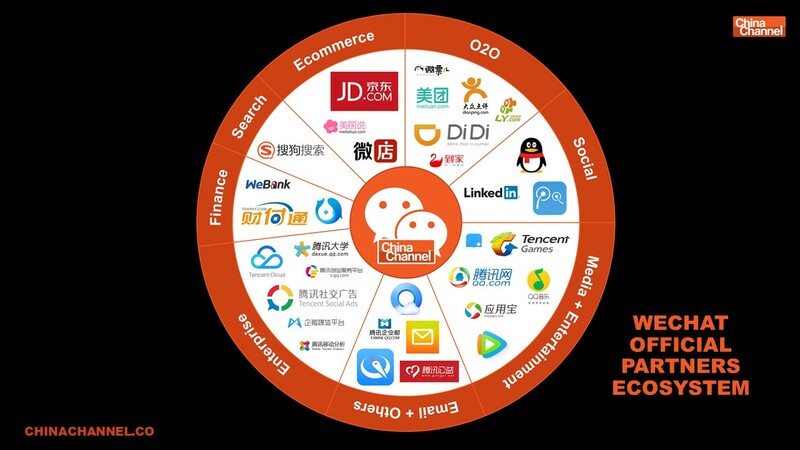 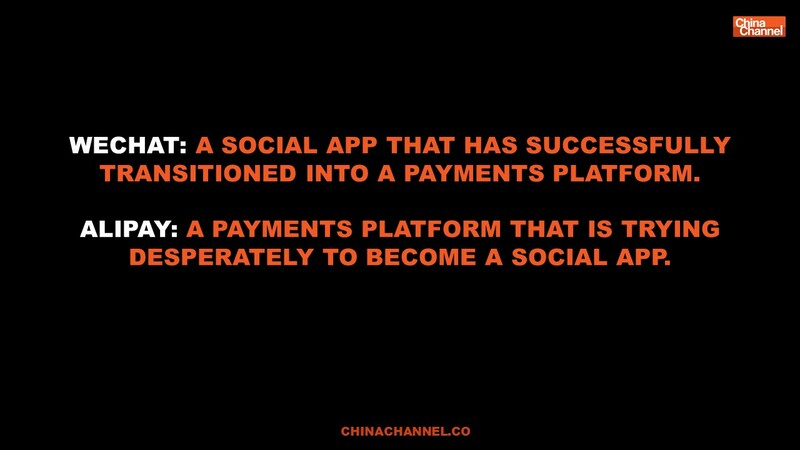 ALIPAY: A payments platform that is trying desperately to become a social app. 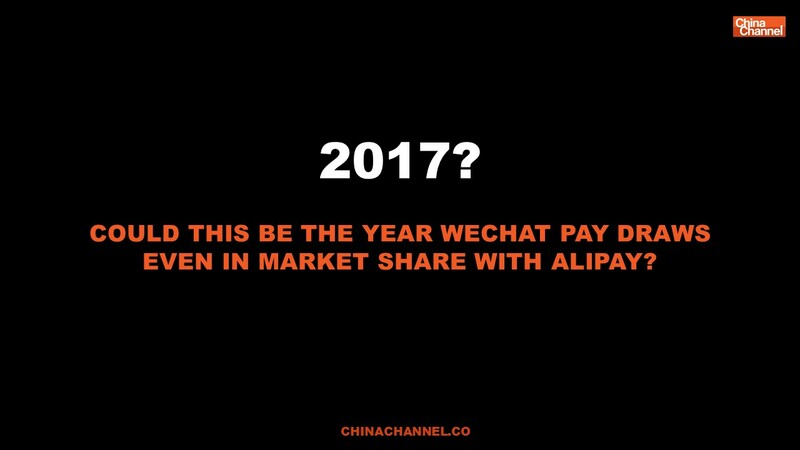 2017 MAY SEE WECHAT PAY PULL EVEN WITH ALIPAY. 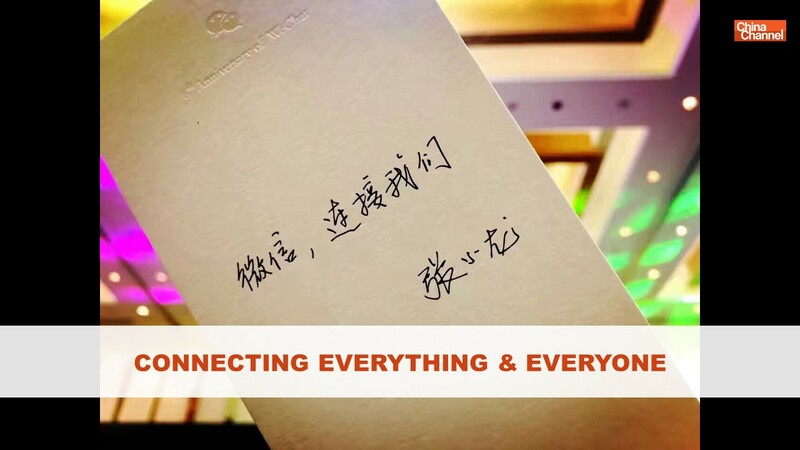 ALIPAY WILL CONTINUE TO TRY AND REALISE THEIR DREAM OF UNLOCKING SOCIAL. 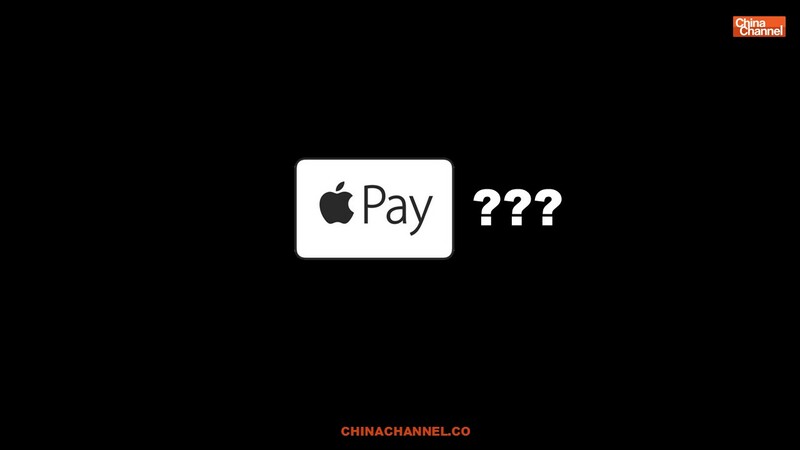 APPLE PAY… ERRR, NO. 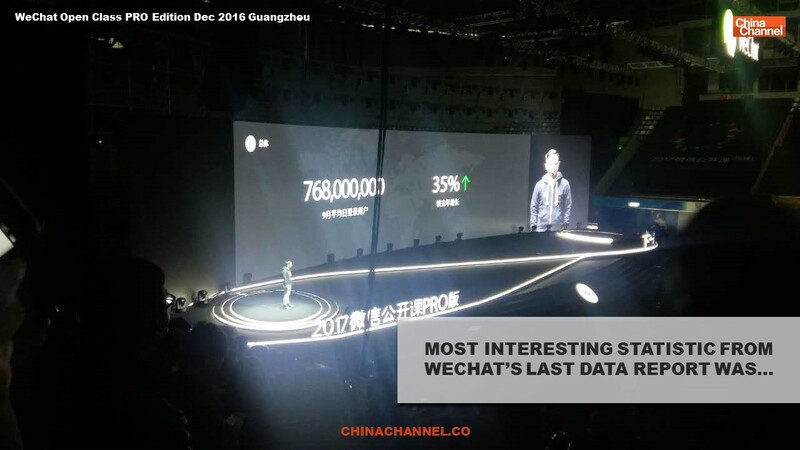 EVERY DOT ON THESE PICTURES IS AN ACTIVE WECHAT USER. 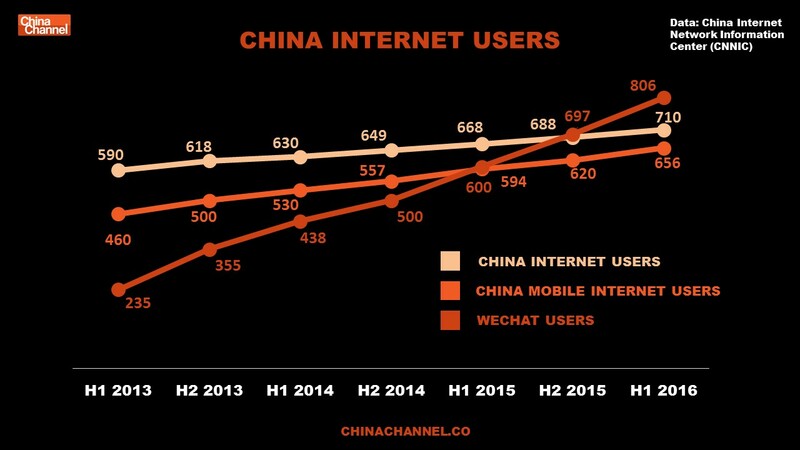 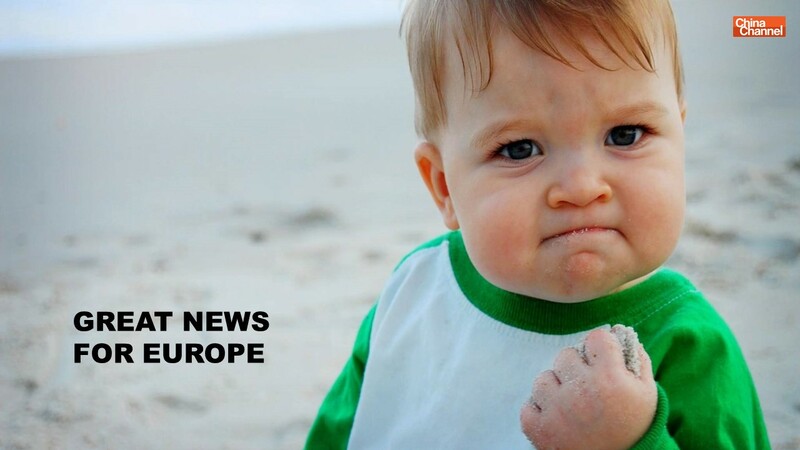 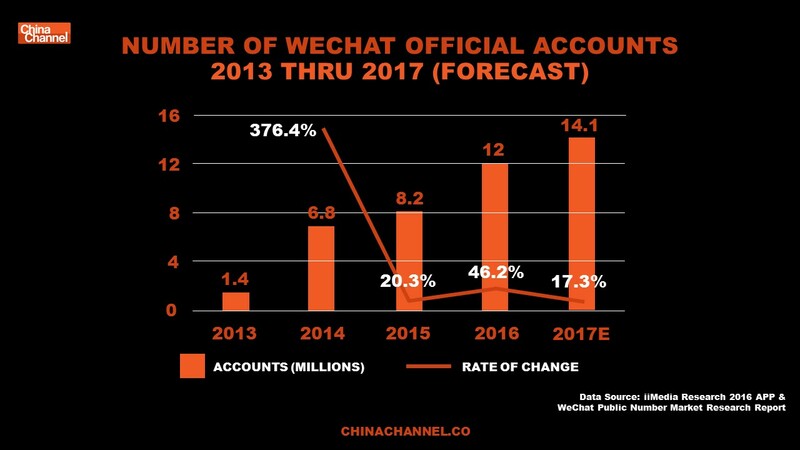 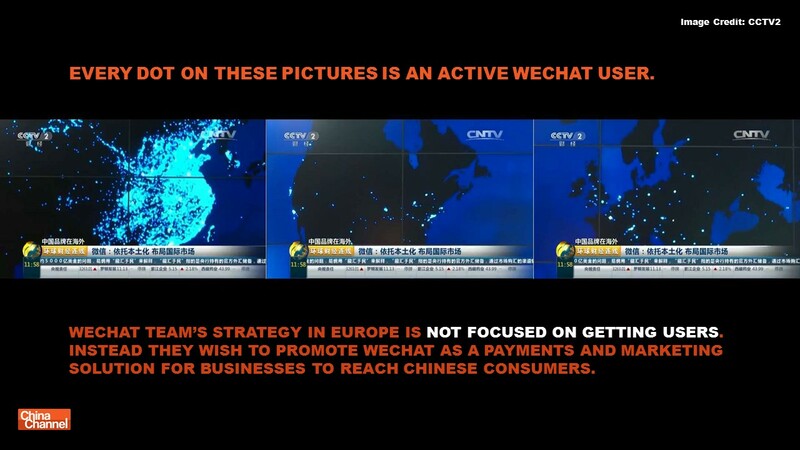 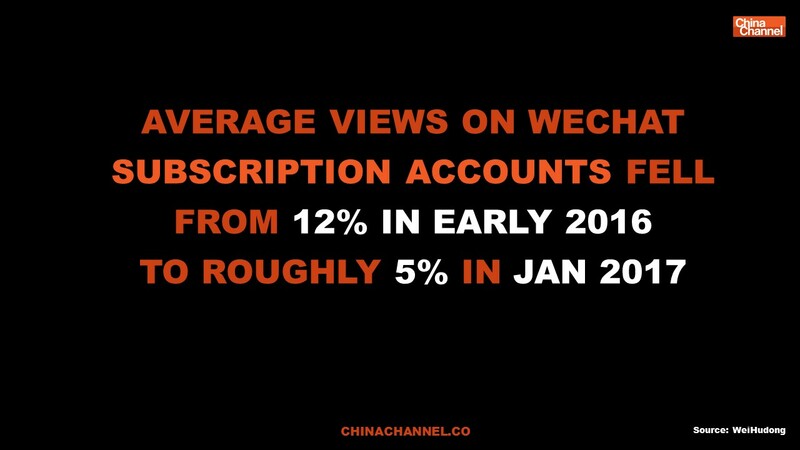 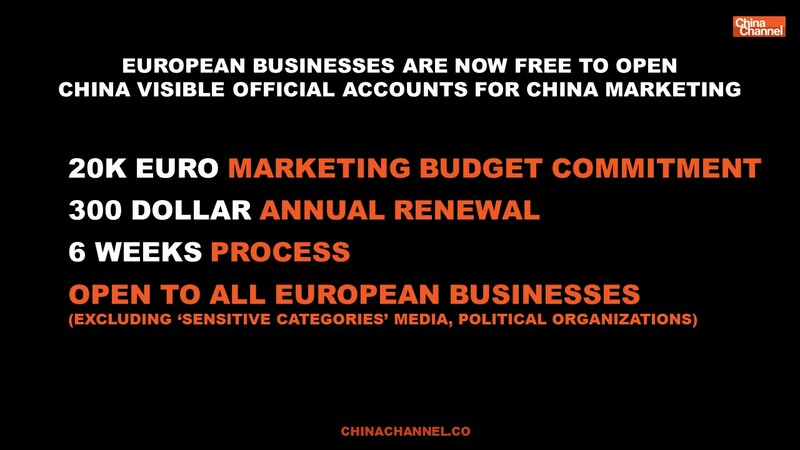 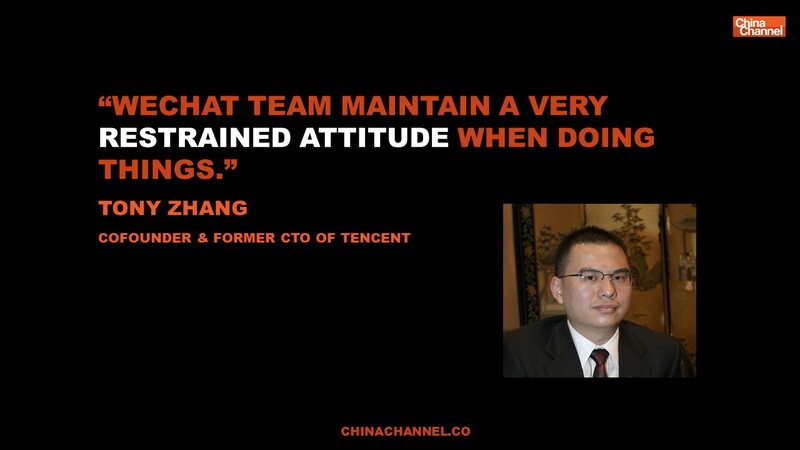 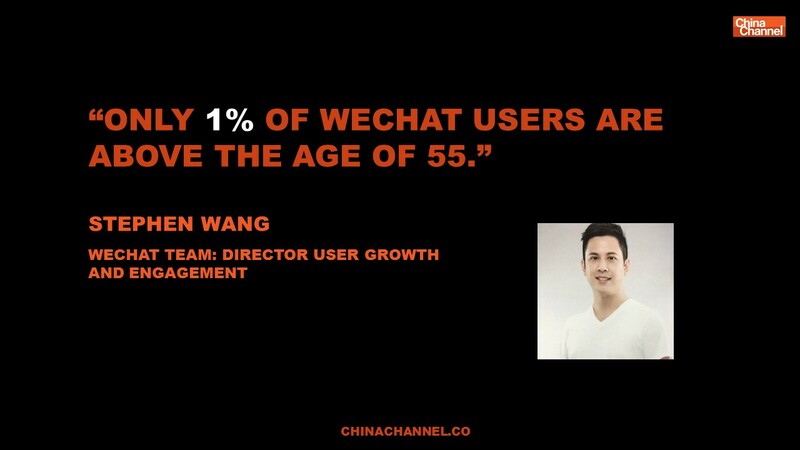 WECHAT TEAM’S STRATEGY IN EUROPE IS NOT FOCUSED ON GETTING USERS. 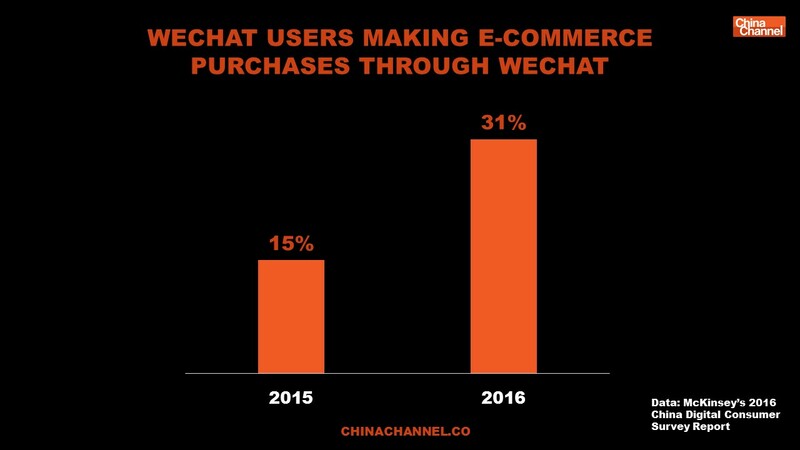 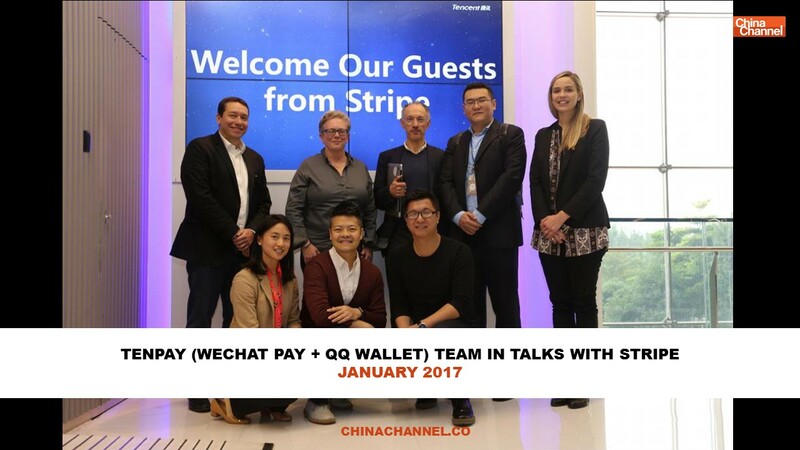 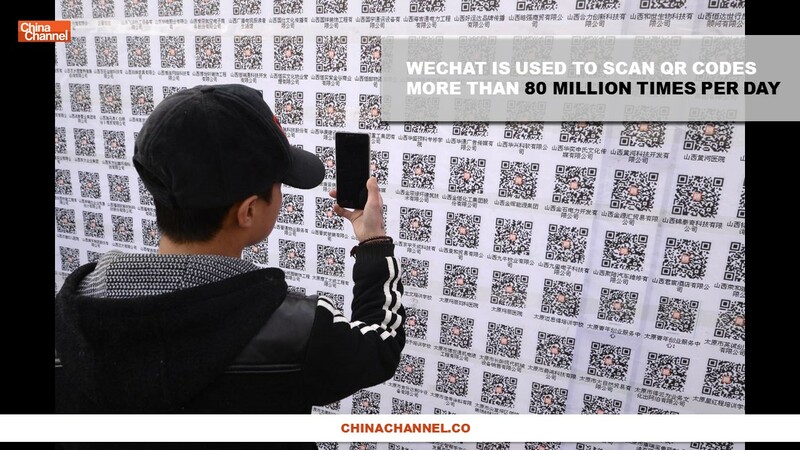 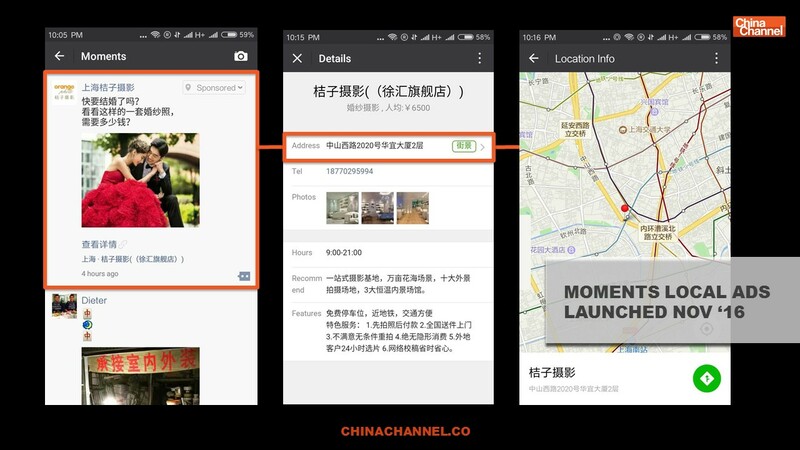 INSTEAD THEY WISH TO PROMOTE WECHAT AS A PAYMENTS AND MARKETING SOLUTION FOR BUSINESSES TO REACH CHINESE CONSUMERS. 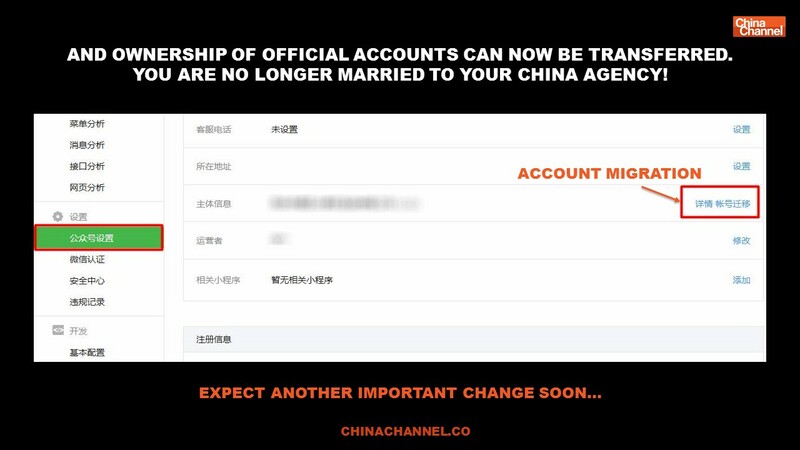 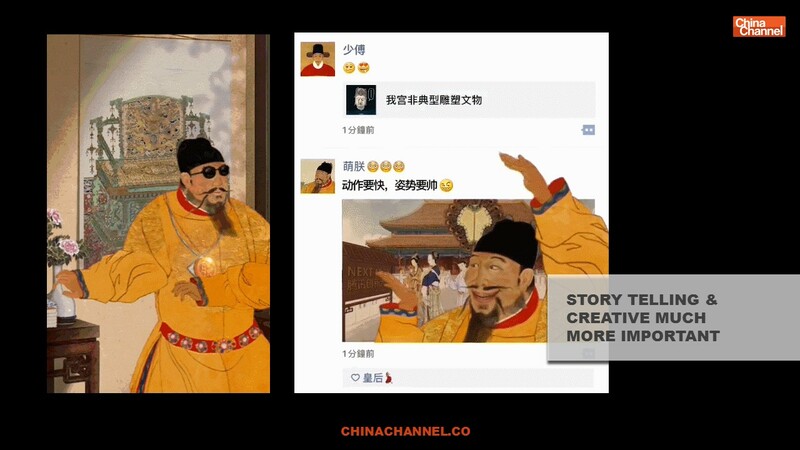 THIS ACCOUNT IS VISIBLE IN CHINA! 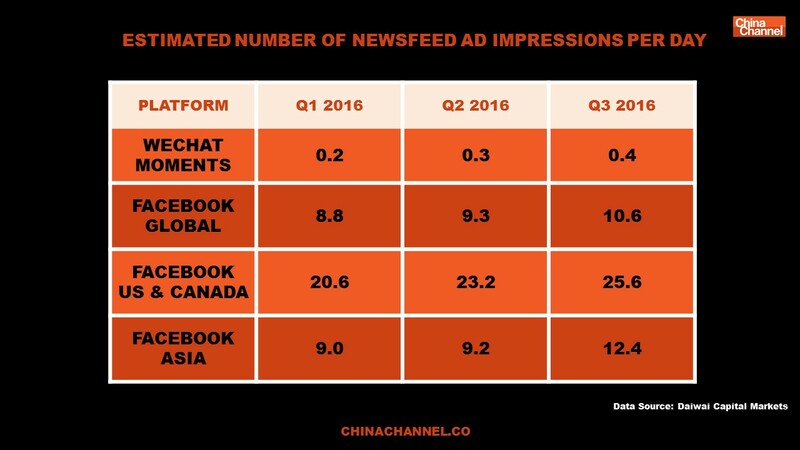 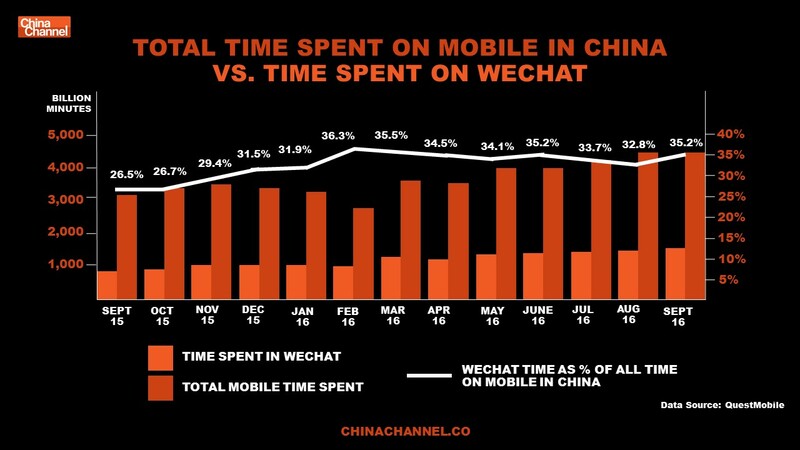 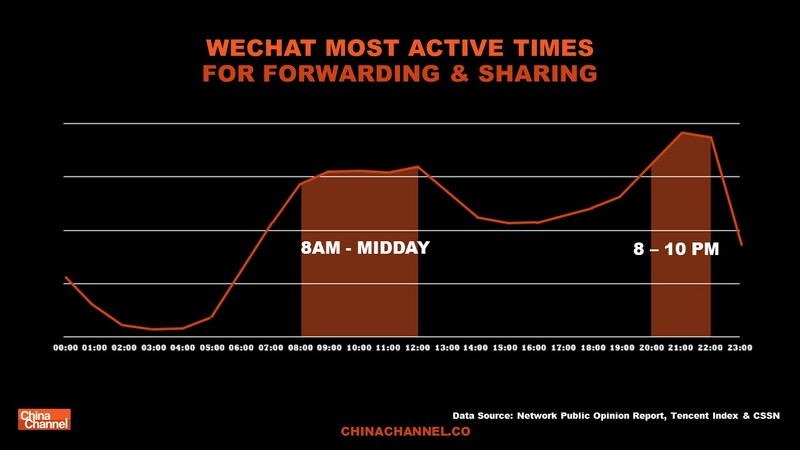 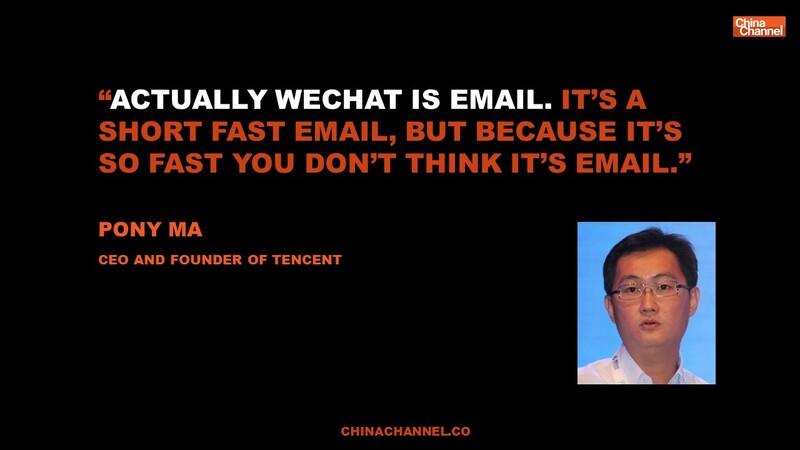 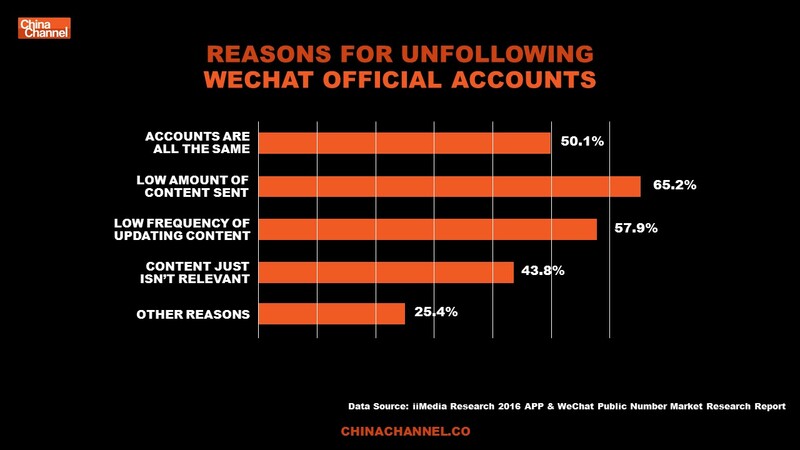 MARKETERS IN CHINA TREAT WECHAT LIKE EMAIL. 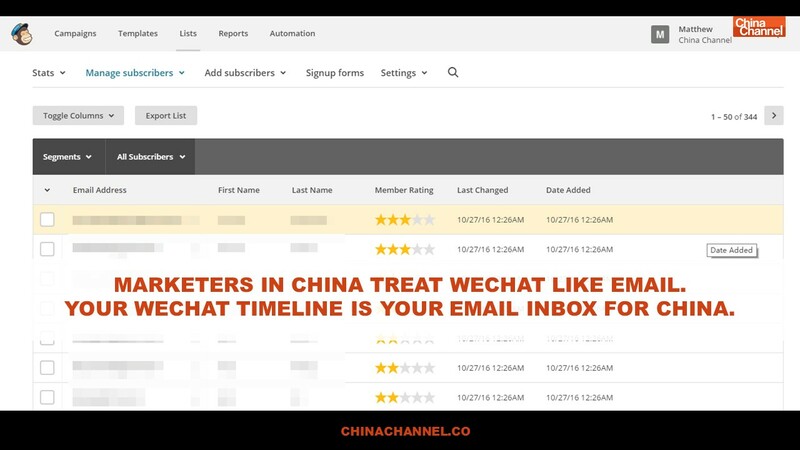 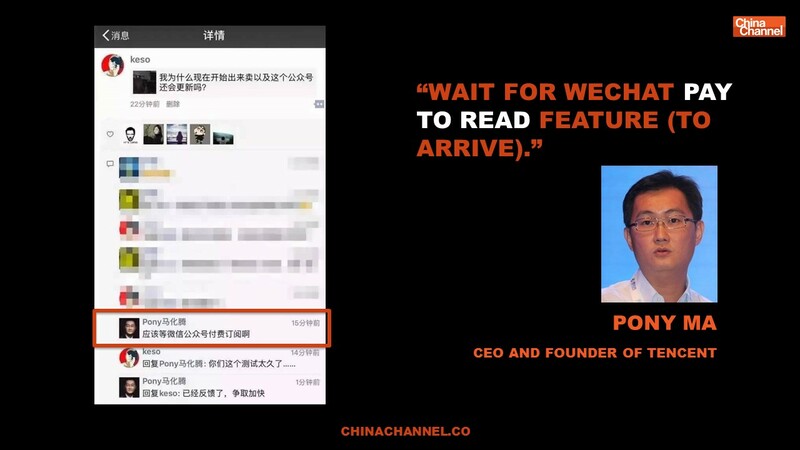 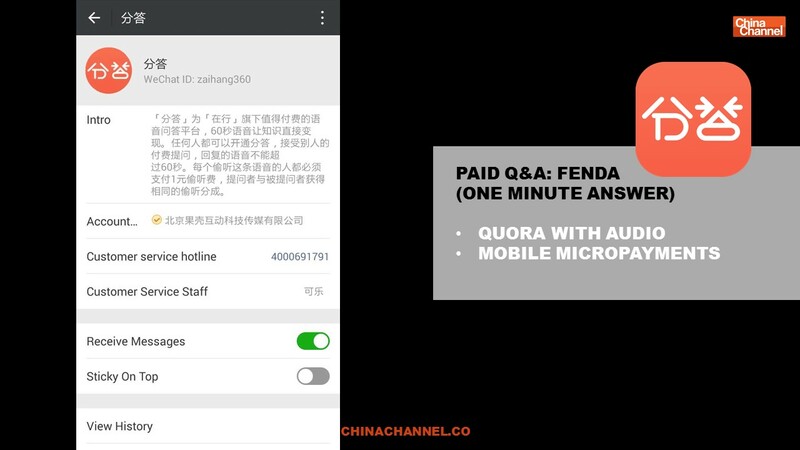 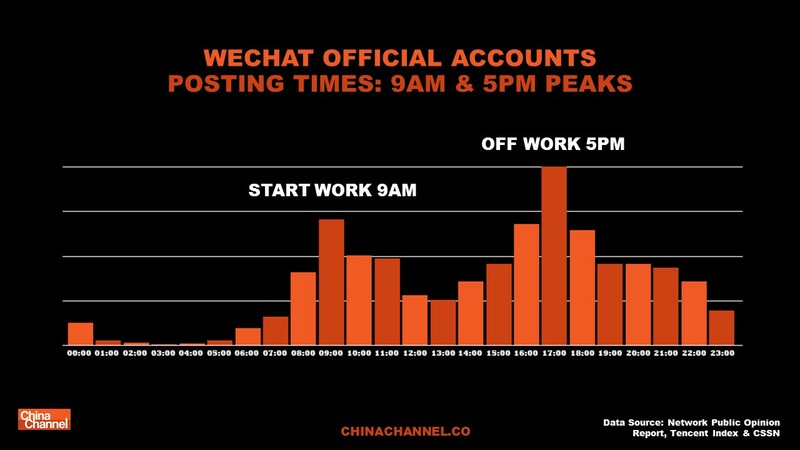 YOUR WECHAT TIMELINE IS YOUR EMAIL INBOX FOR CHINA. 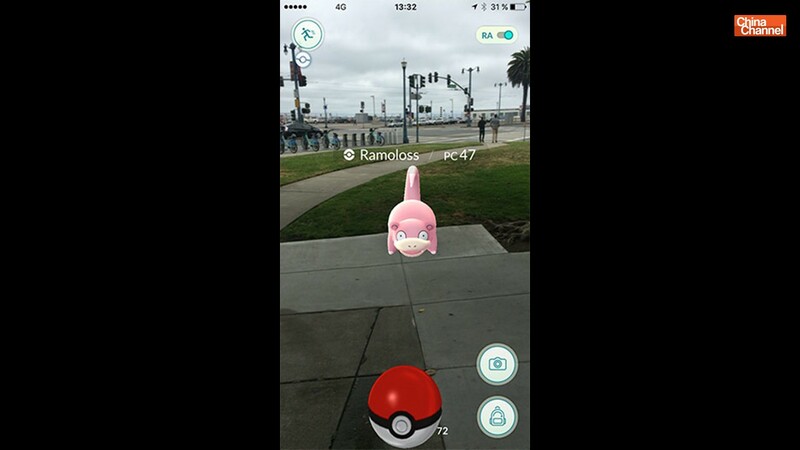 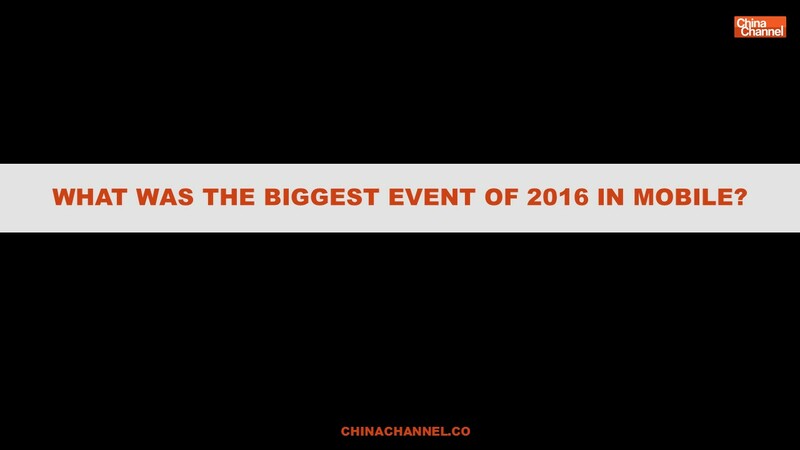 WHAT WAS THE BIGGEST EVENT OF 2016 IN MOBILE? 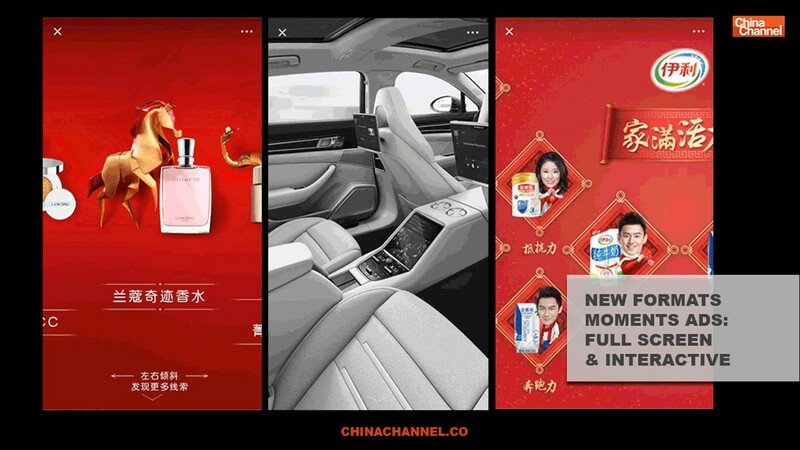 BAIDU MAPS AUGMENTED REALITY CAMPAIGN. 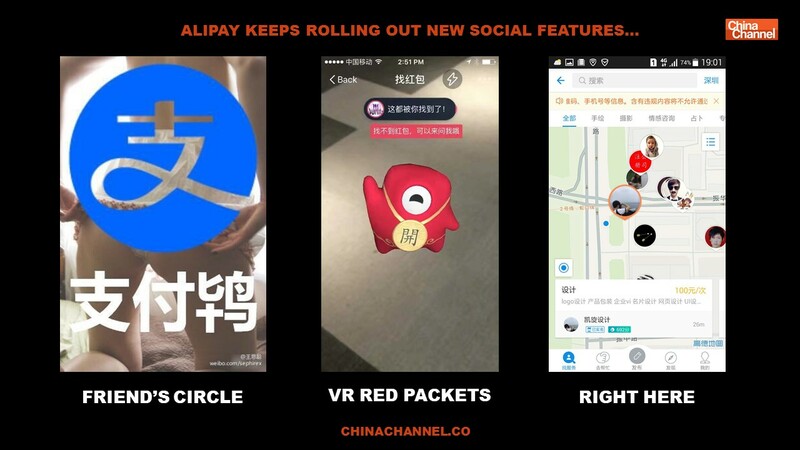 ALIPAY AUGMENTED REALITY LUCKY MONEY FEATURE. 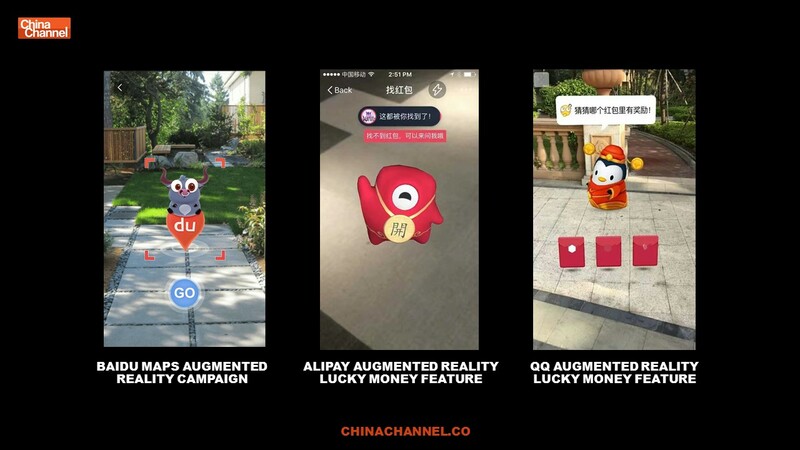 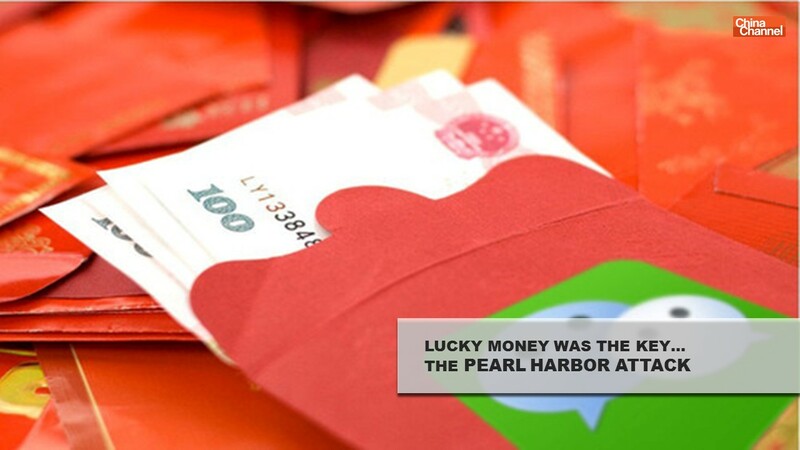 QQ AUGMENTED REALITY LUCKY MONEY FEATURE. 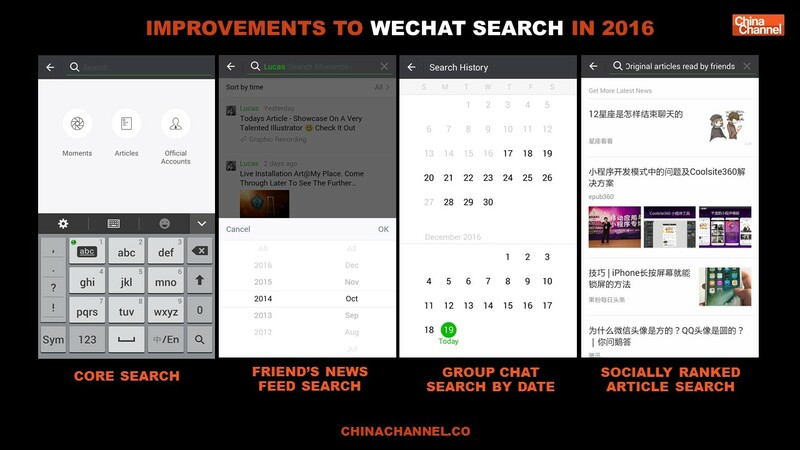 WeChat New Features. 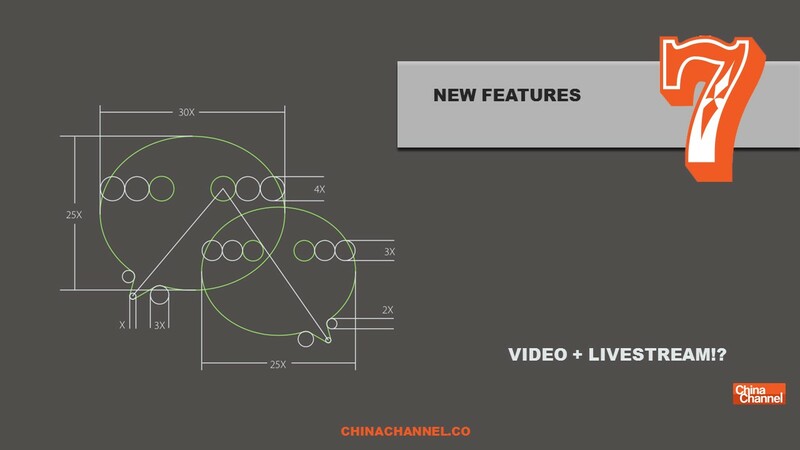 VIDEO + LIVESTREAM!? 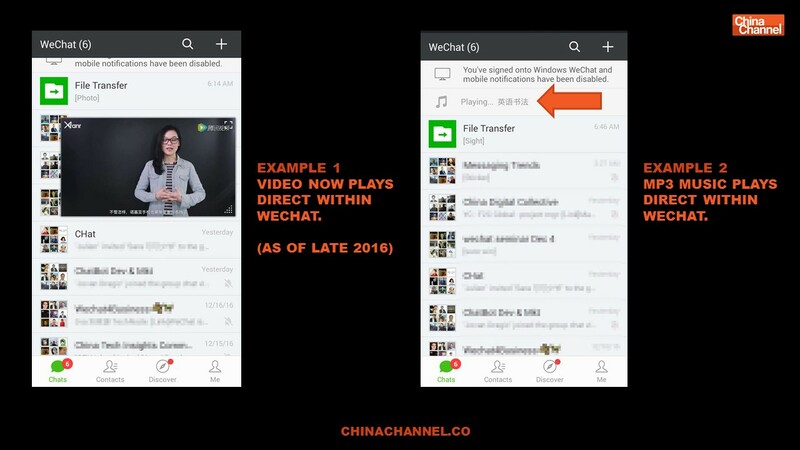 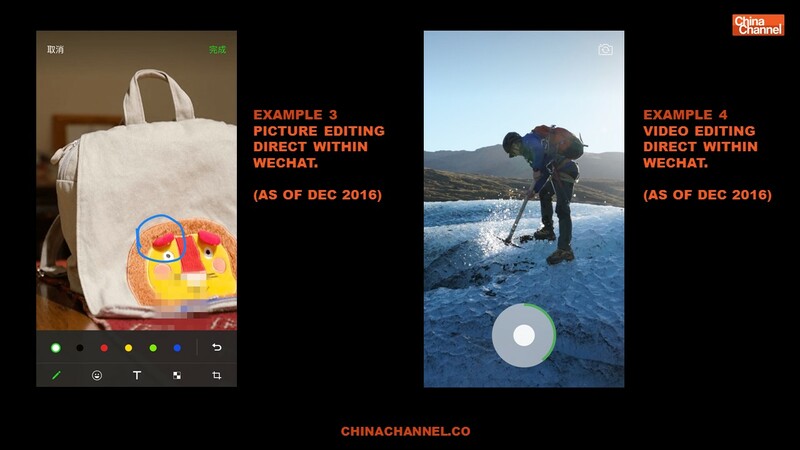 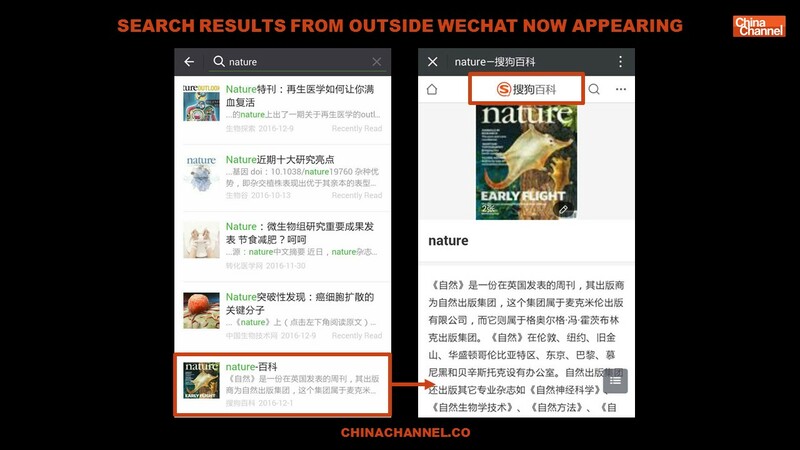 Recent New Features Example 1: Video now plays direct within wechat. 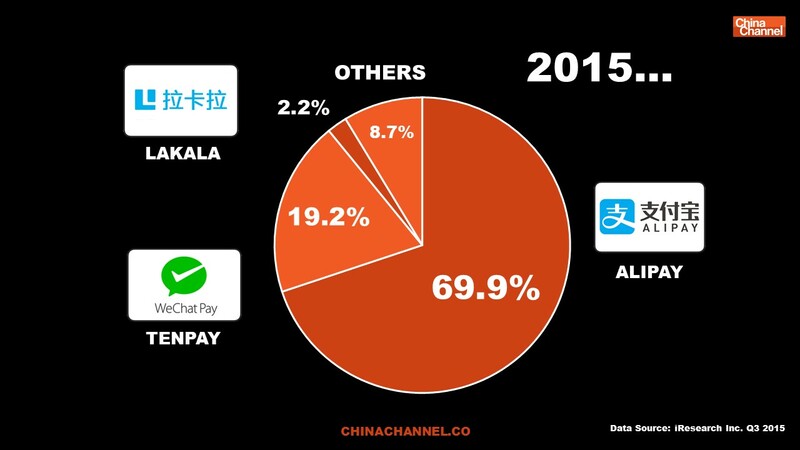 (as of late 2016). 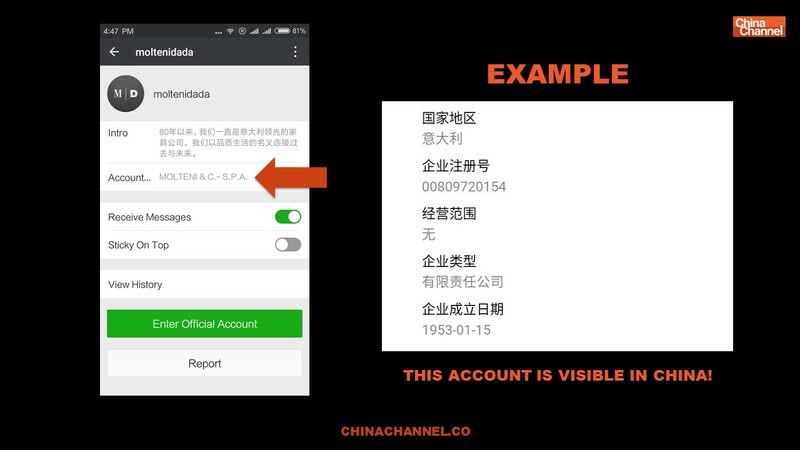 Example 2: mp3 music plays direct within wechat. 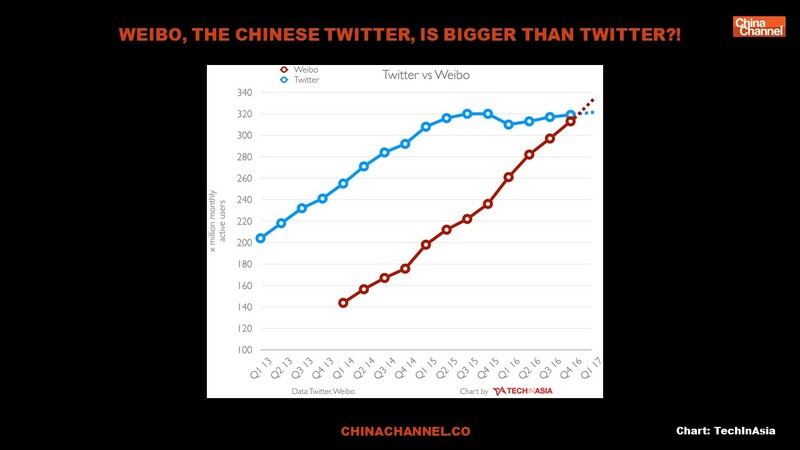 Weibo, The Chinese twitter, is bigger than twitter?! 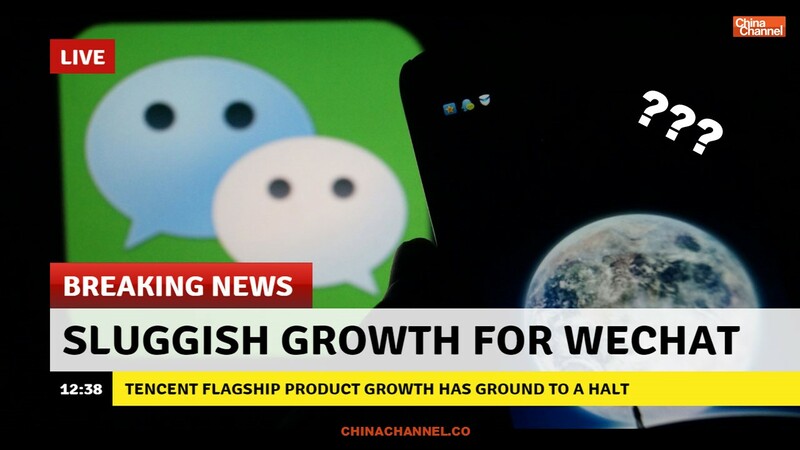 Rumors: Wechat Live stream? 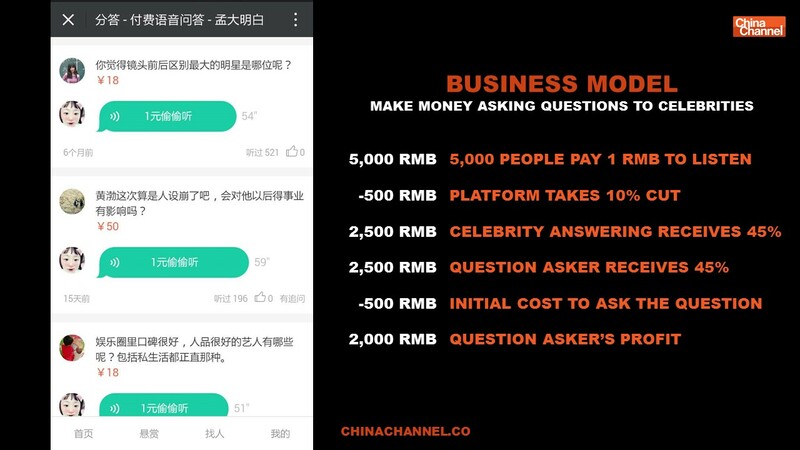 ARGUMENT for: The Business model is fantastic. 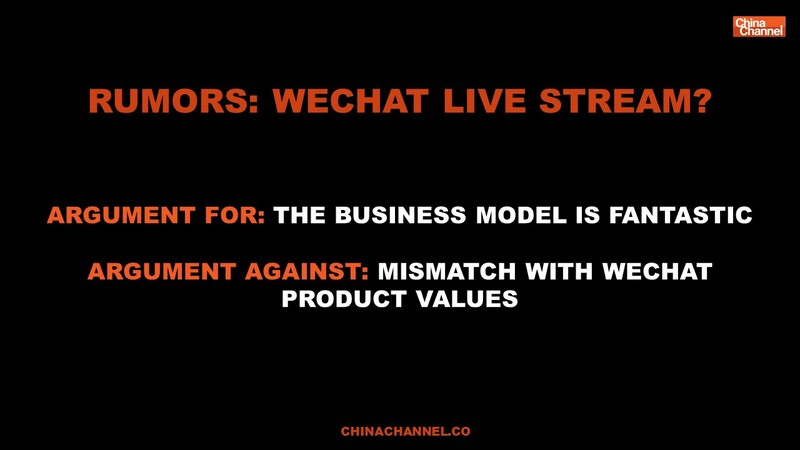 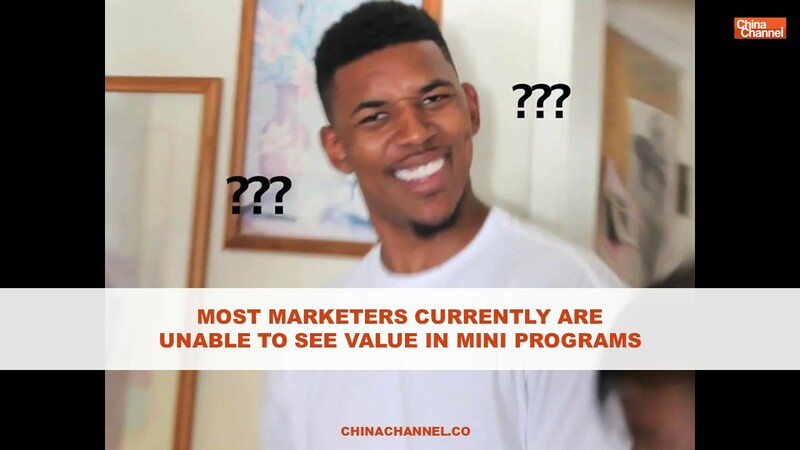 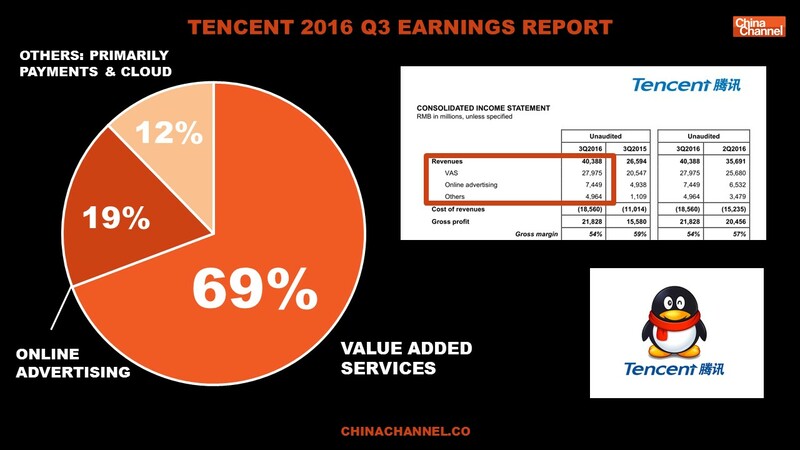 ARGUMENT against: mismatch with wechat product values. 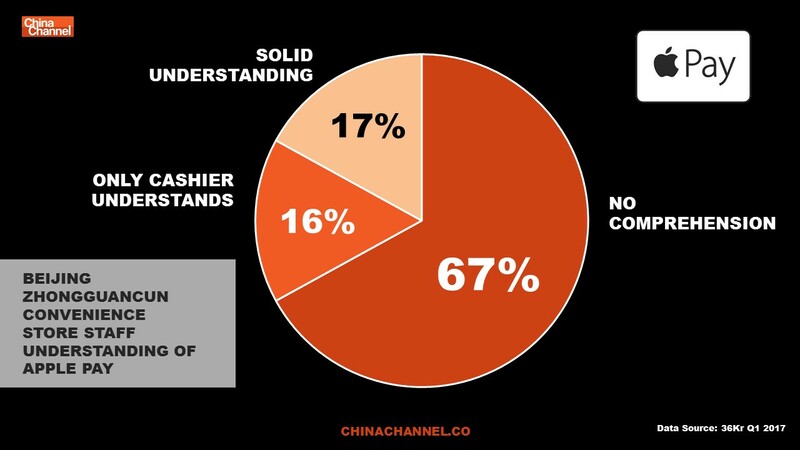 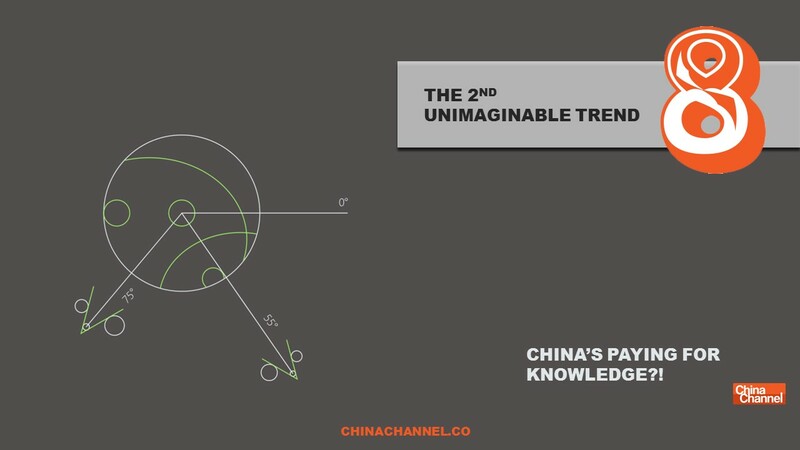 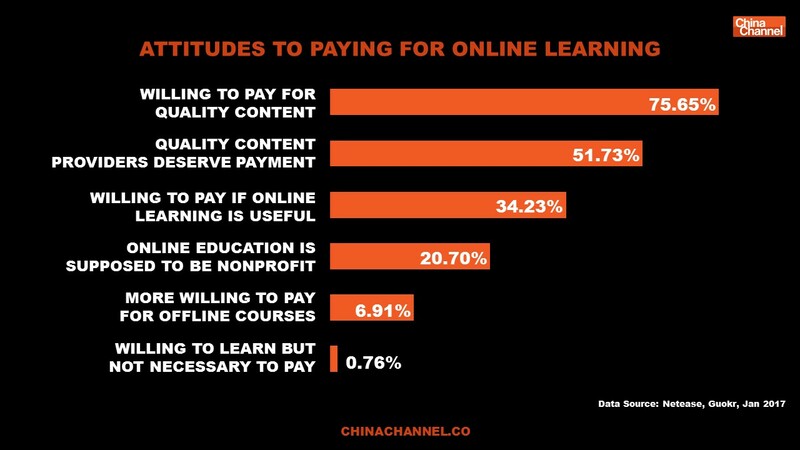 THE 2ND UNIMAGINABLE TREND: CHINA’S PAYING FOR KNOWLEDGE?! 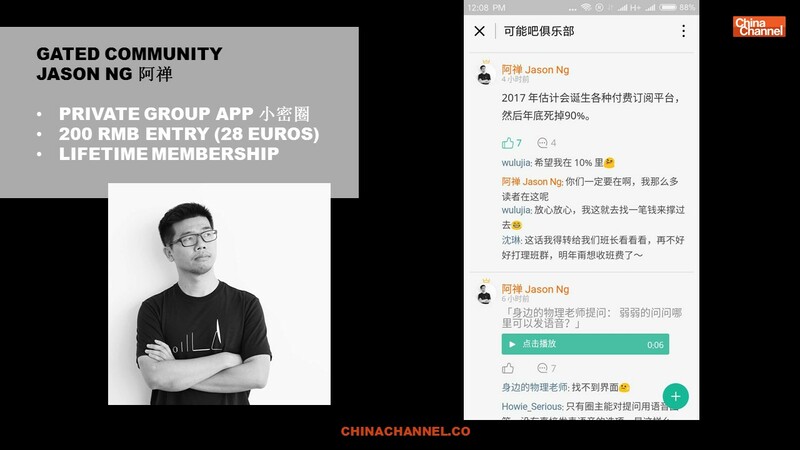 GATED COMMUNITY: JASON NG 阿禅. 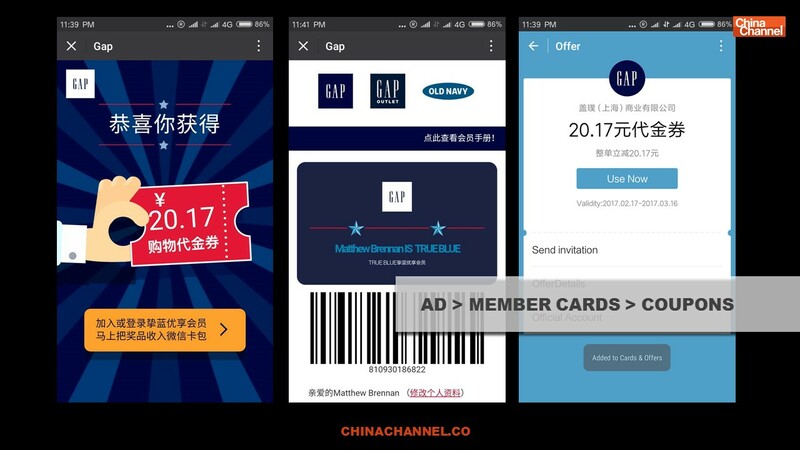 PRIVATE GROUP APP 小密圈 200 rmb entry (28 euros) Lifetime membership.